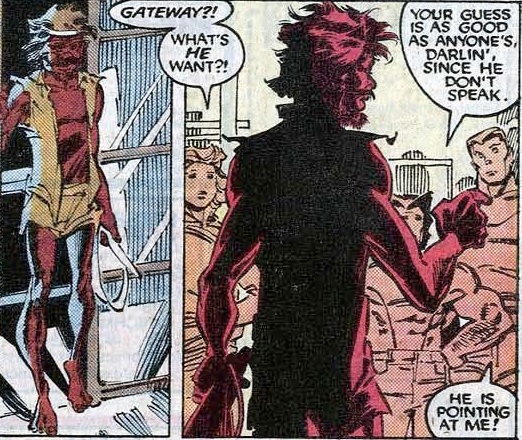 Gateway | "How Would You Fix...?" 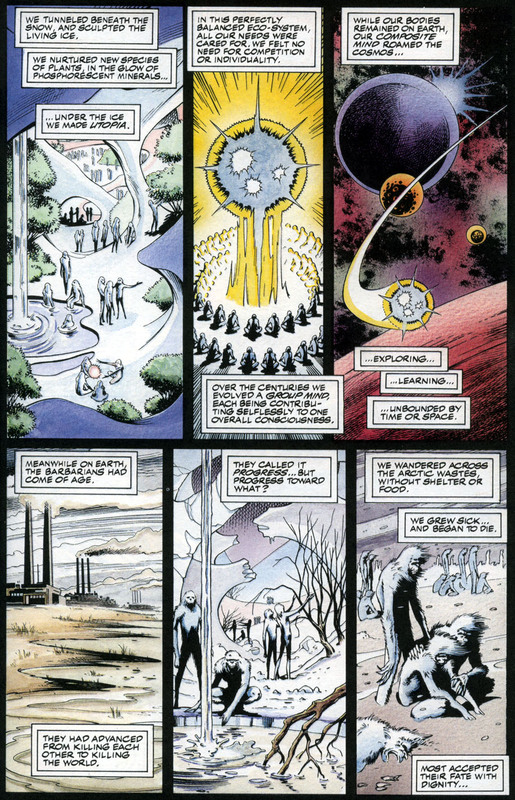 This week’s guest post comes from Chris Arrant, a writer and designer who co-founded Project:Rooftop with Trippe in 2006 and serves as an editor on the site. 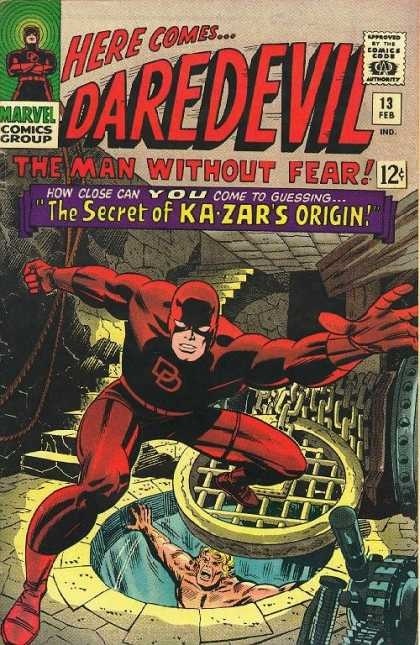 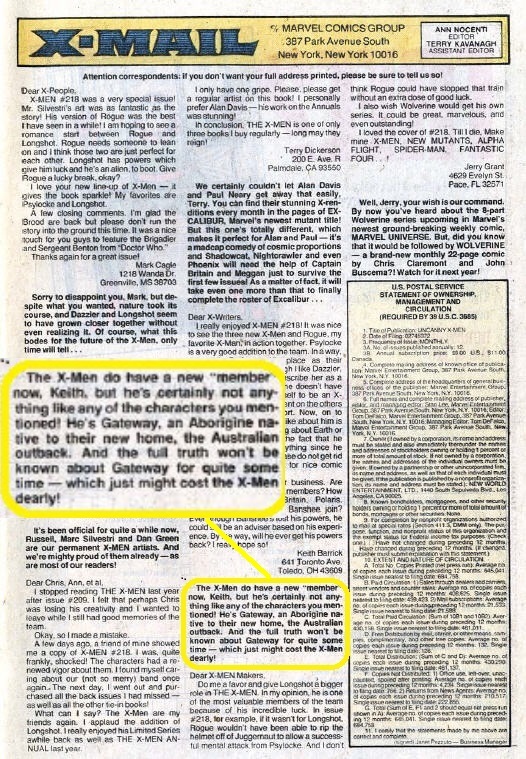 He writes extensively about comics for Marvel Entertainment, MTV, Newsarama.com, ComicBookResources.com and iFanboy.com. 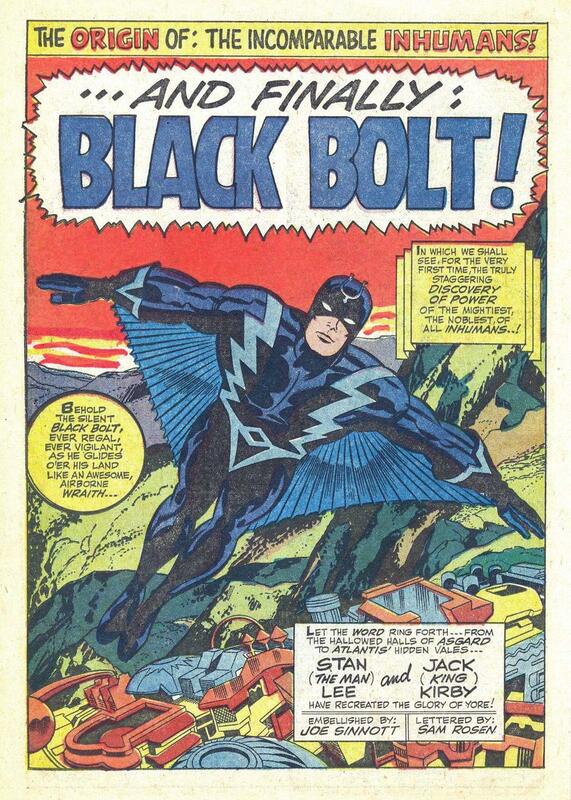 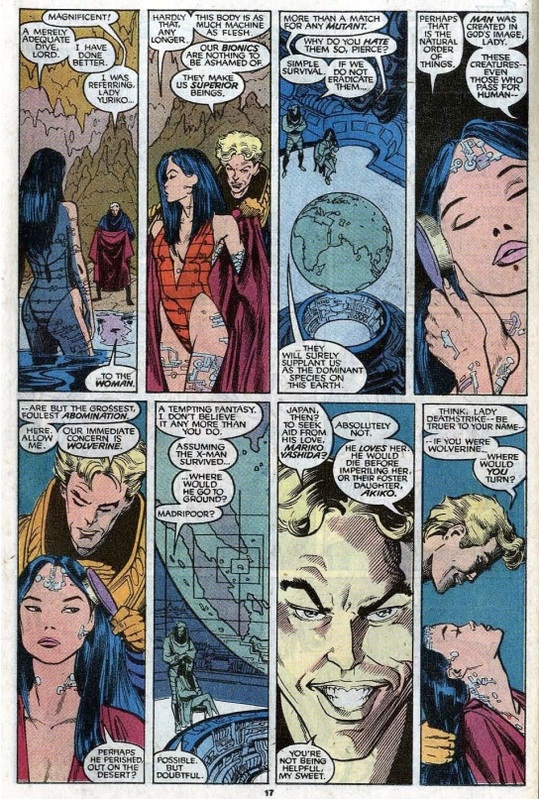 He has also entered the comics writing fray with stories in the anthologies Tori Amos’ Comic Book Tattoo, 24Seven Vol. 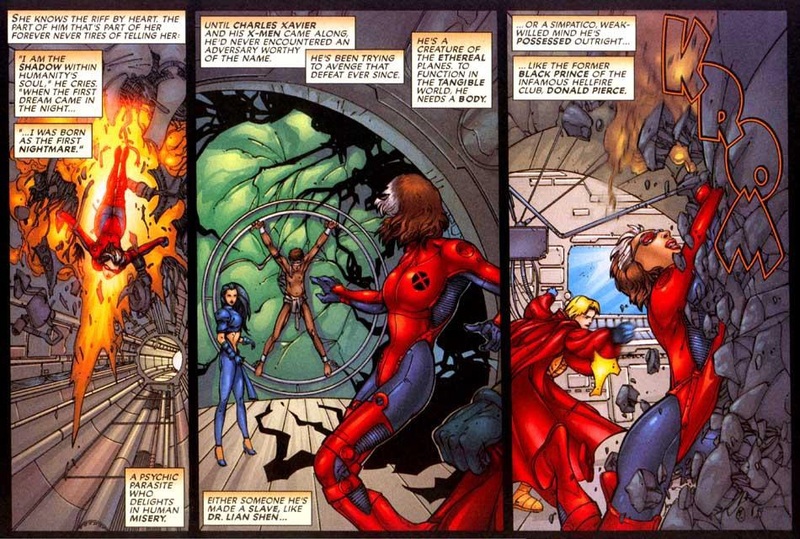 2, Negative Burn and No Formula: Stories From The Chemistry Set. 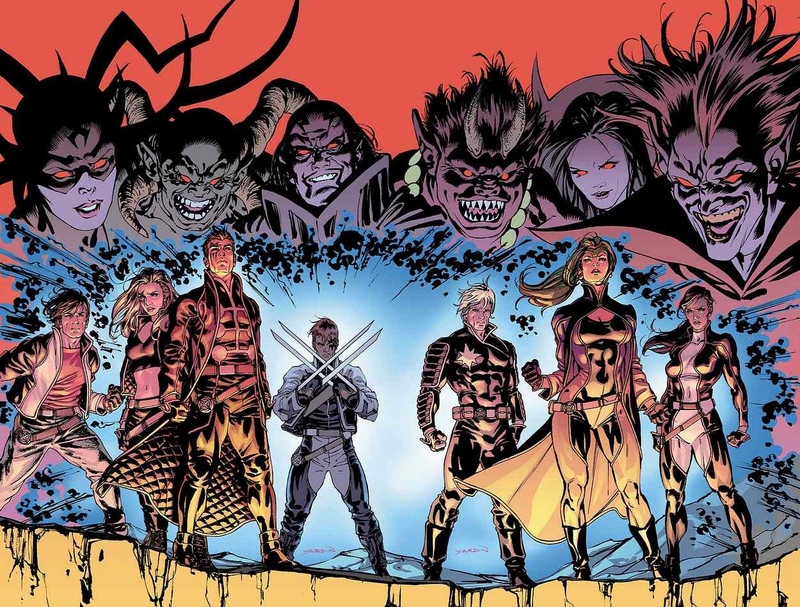 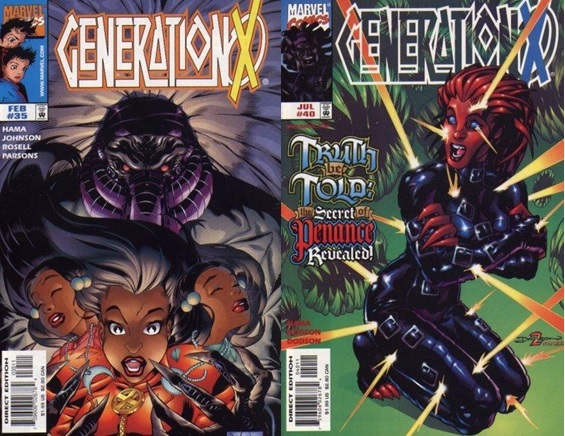 When Marvel launched the series Generation X by Scott Lobdell and Chris Bachalo back in 1994, it showed a long-overdue new generation of mutants coming of age in the Marvel Universe. 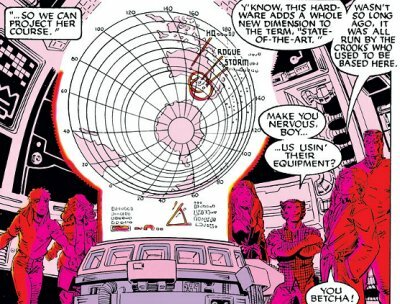 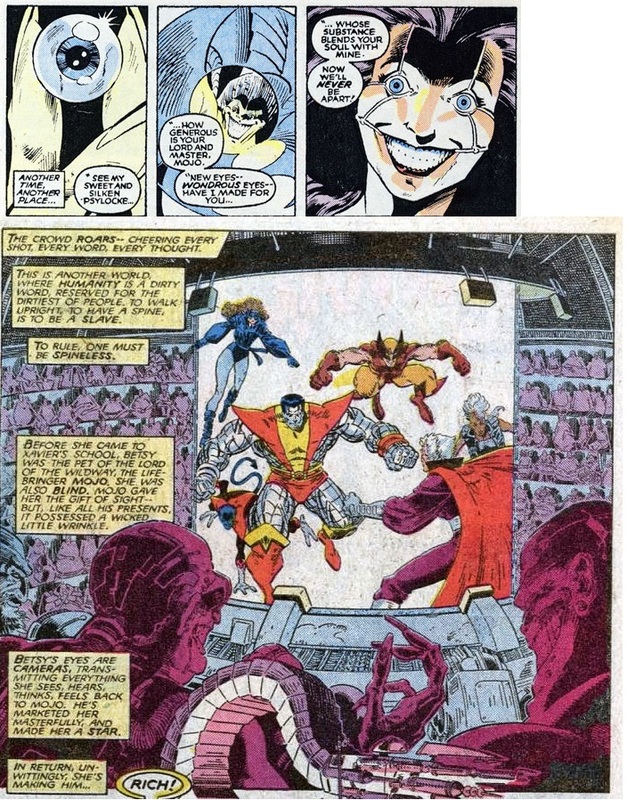 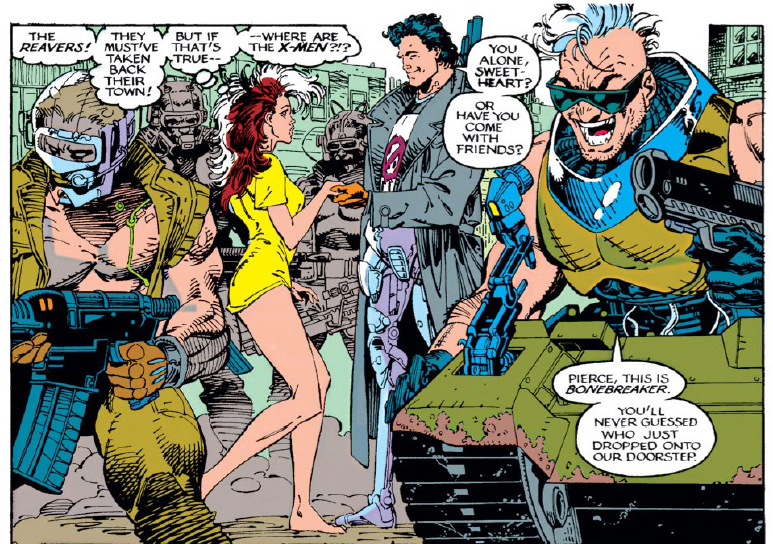 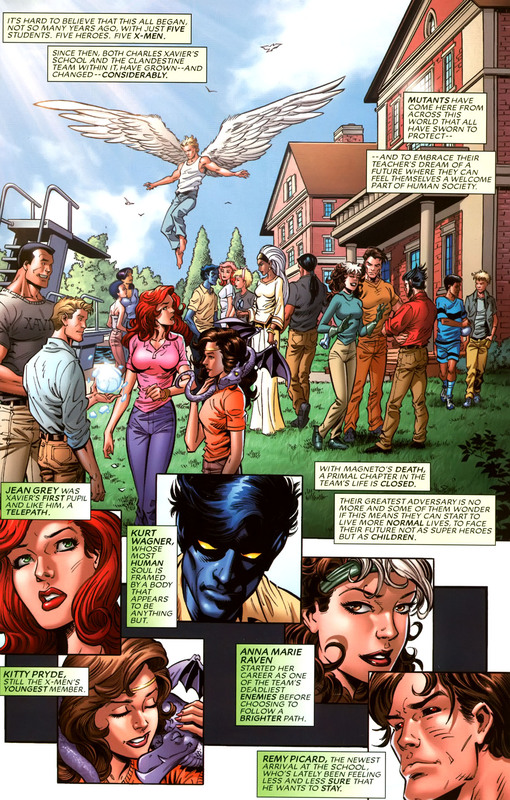 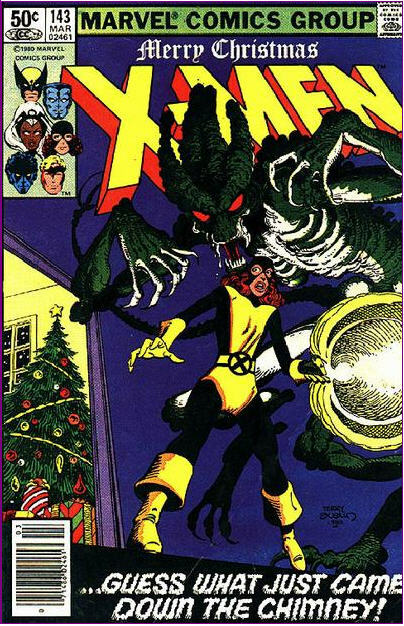 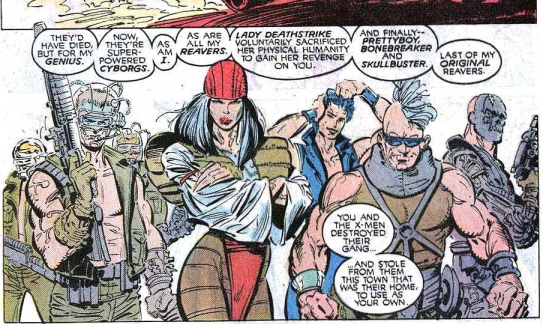 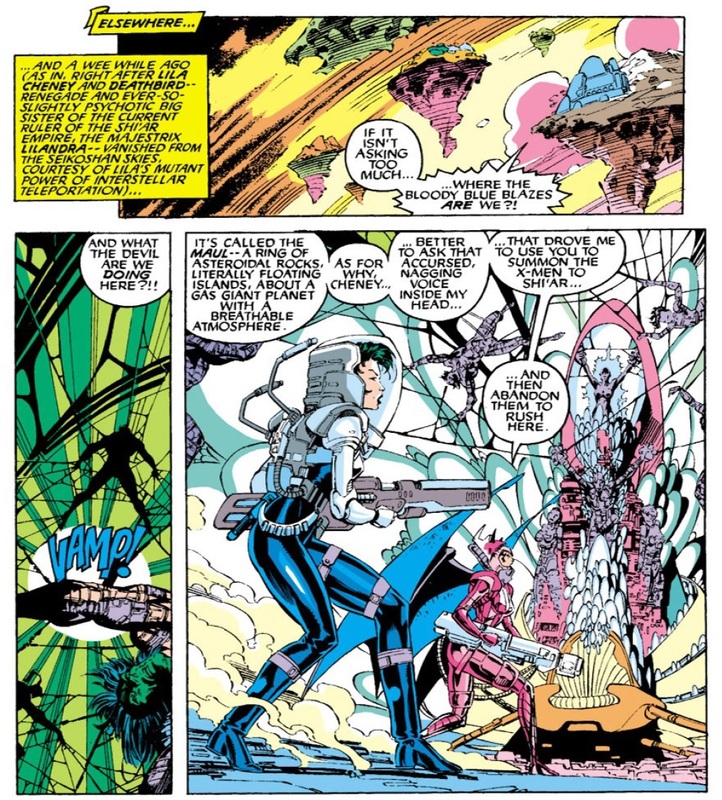 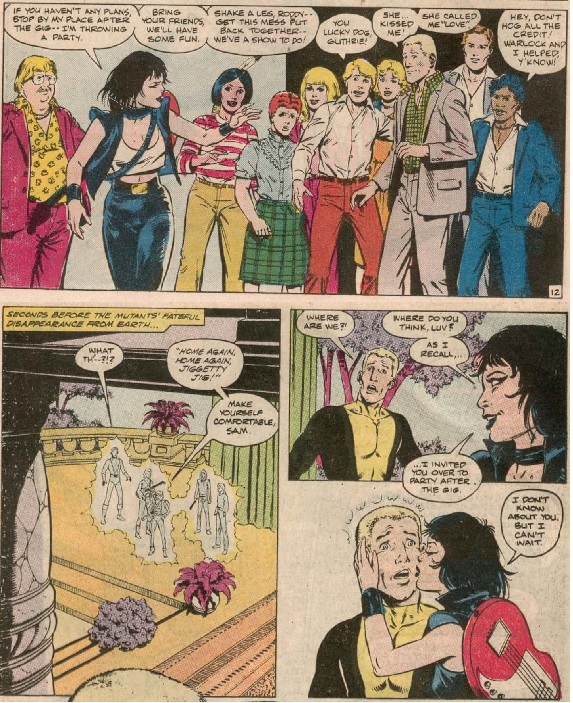 Guided under the twin tutelage of longtime X-Man Banshee and longtime X-Men villain Emma Frost, it featured a completely new cast of young mutants with one memorable name – Jubilee. 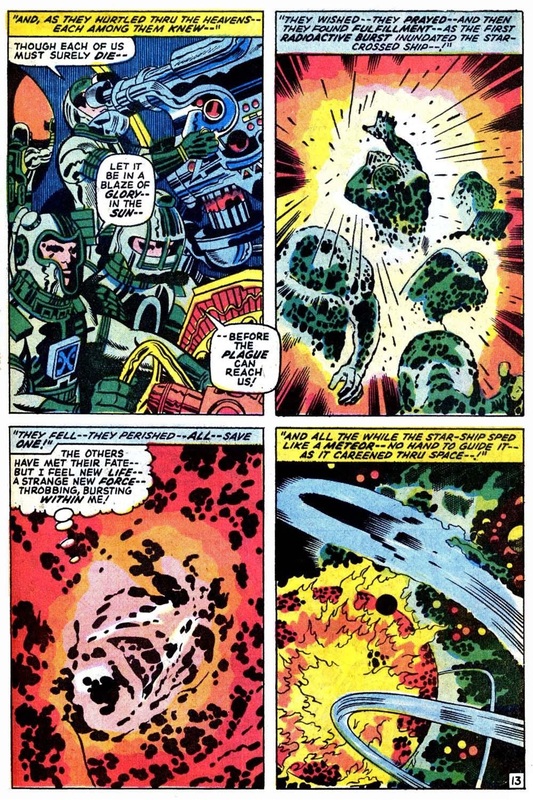 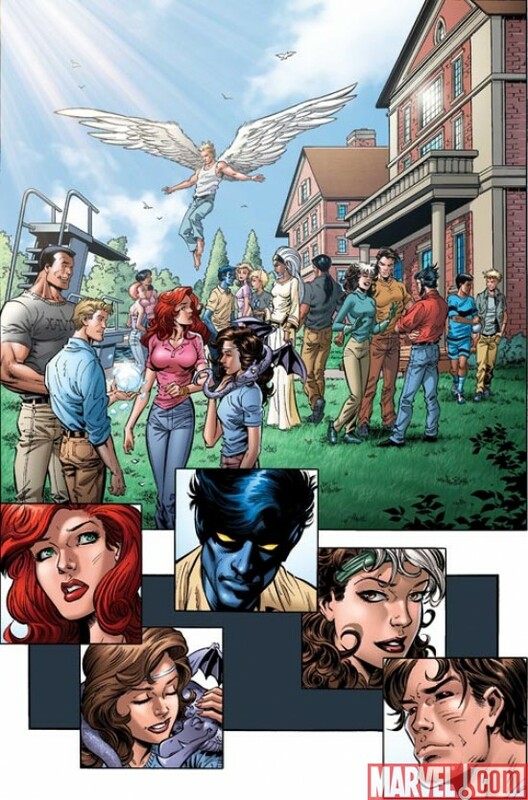 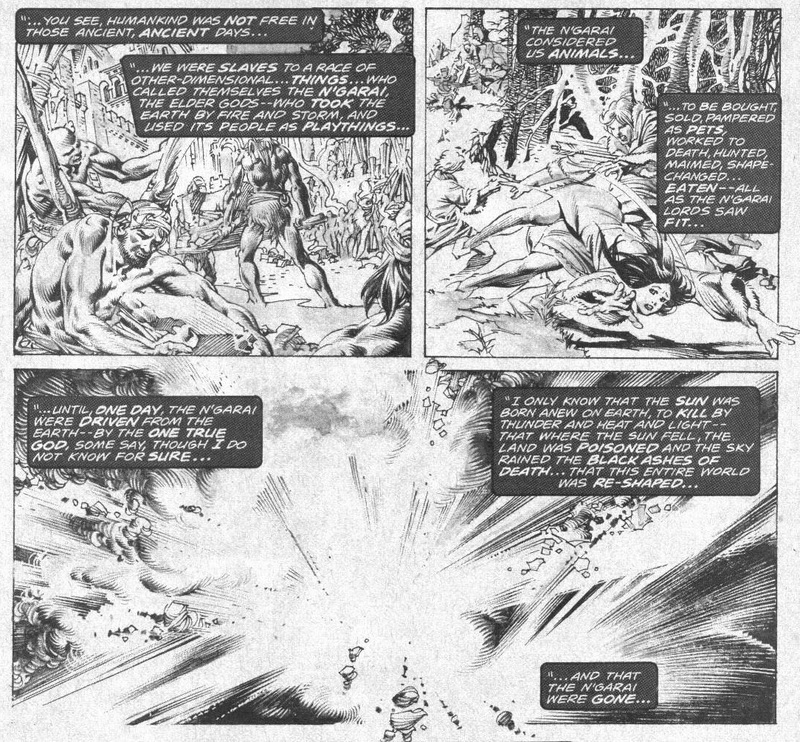 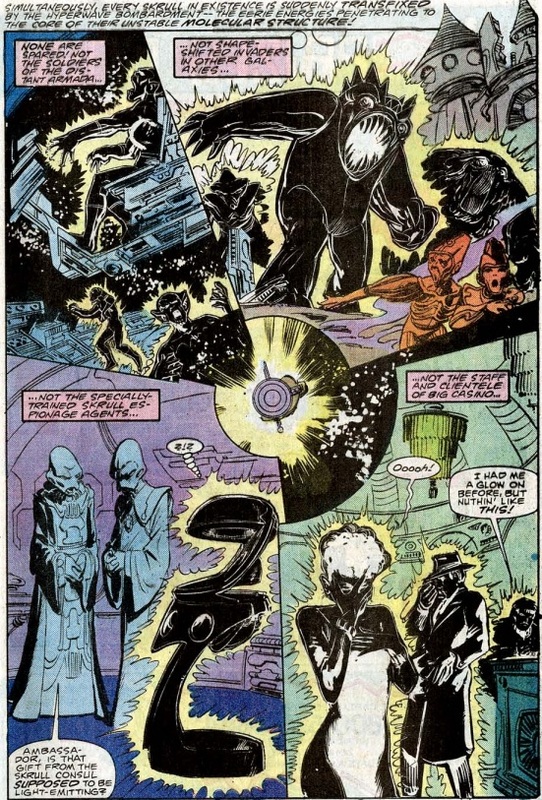 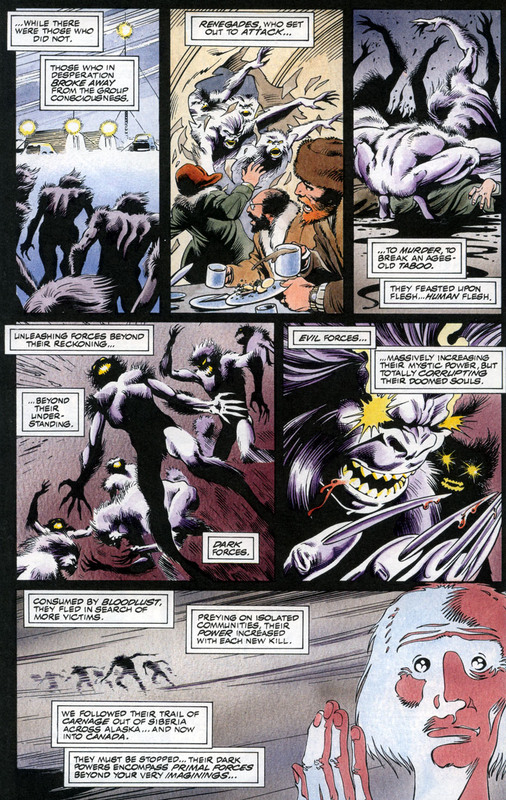 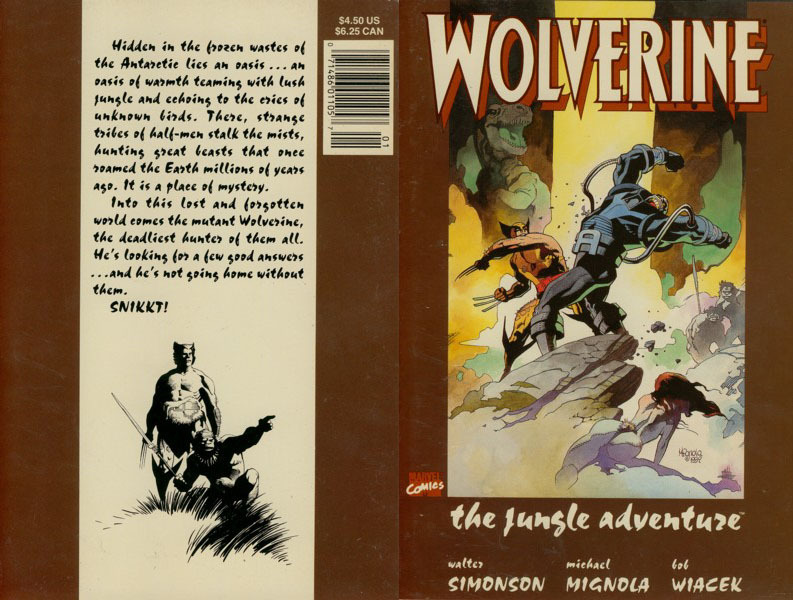 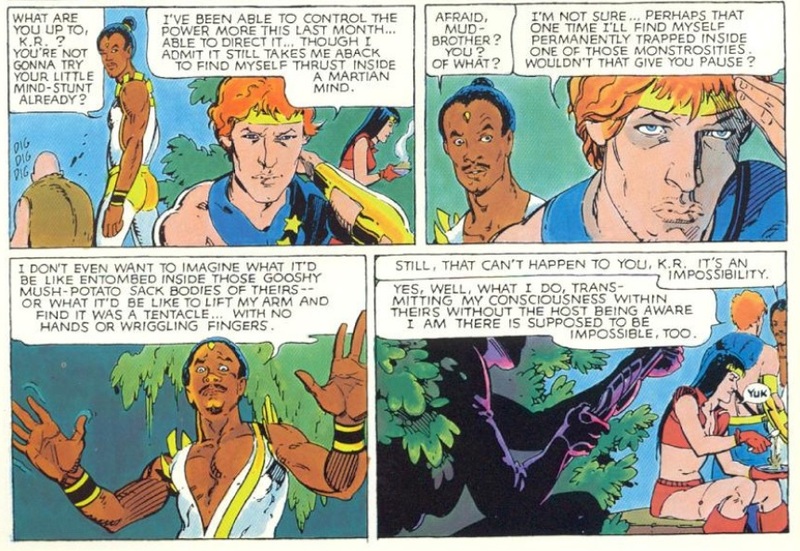 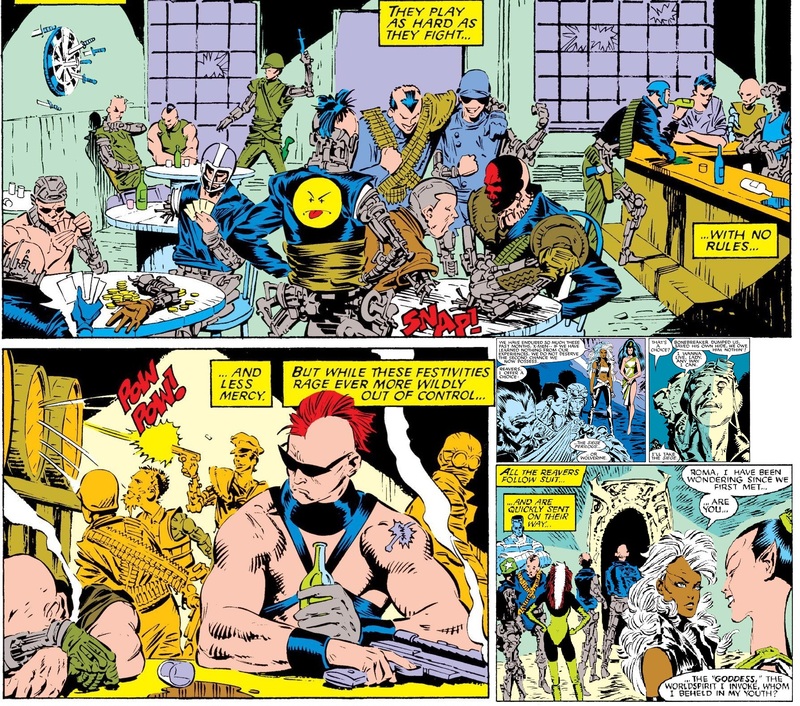 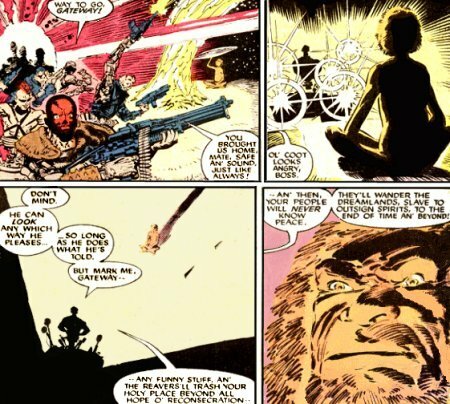 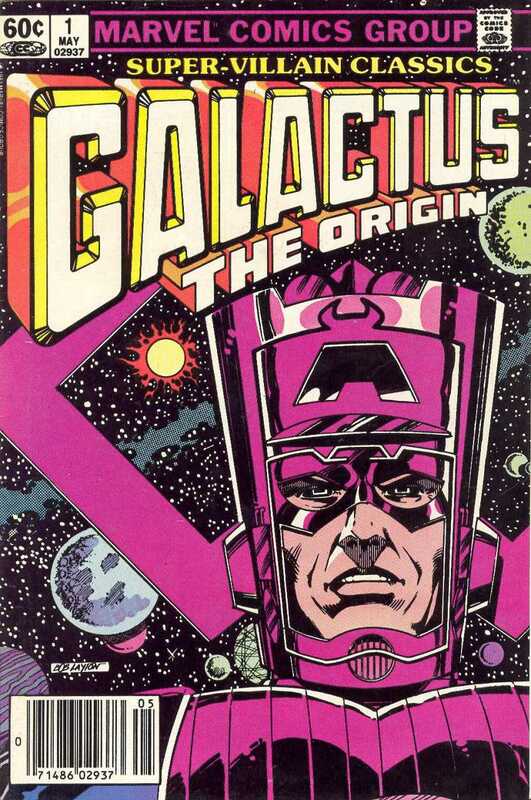 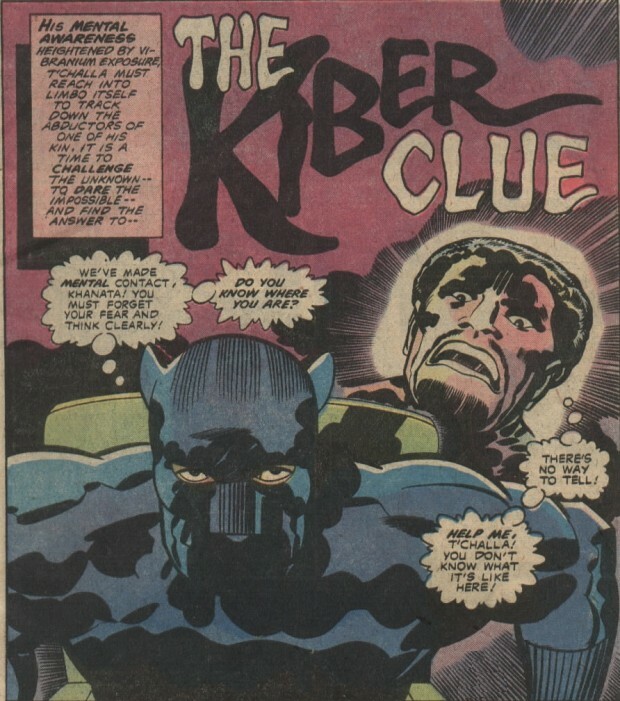 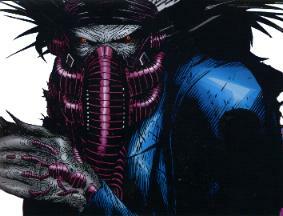 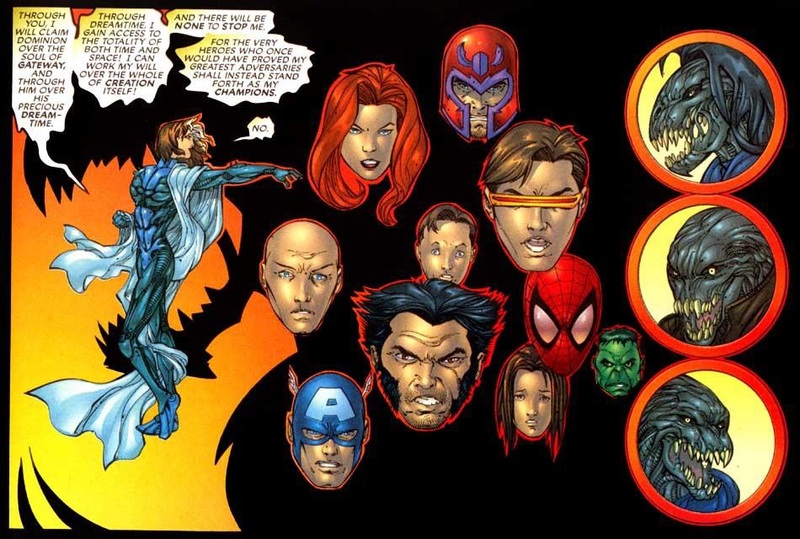 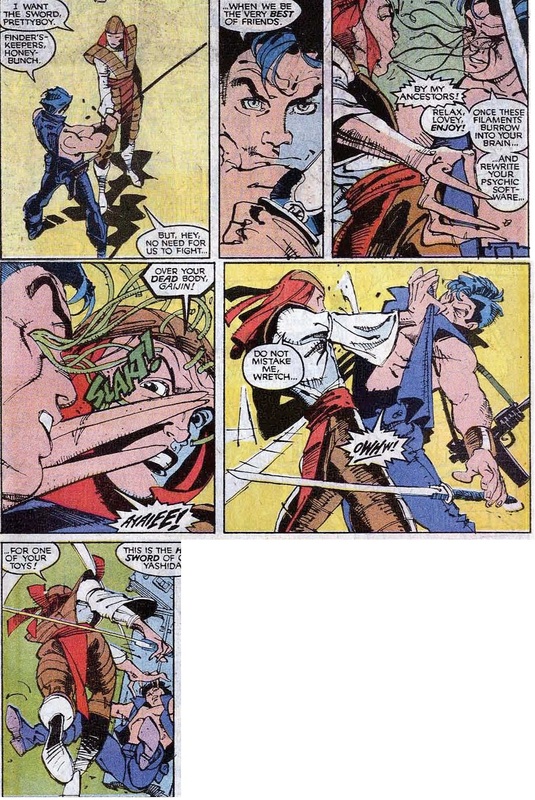 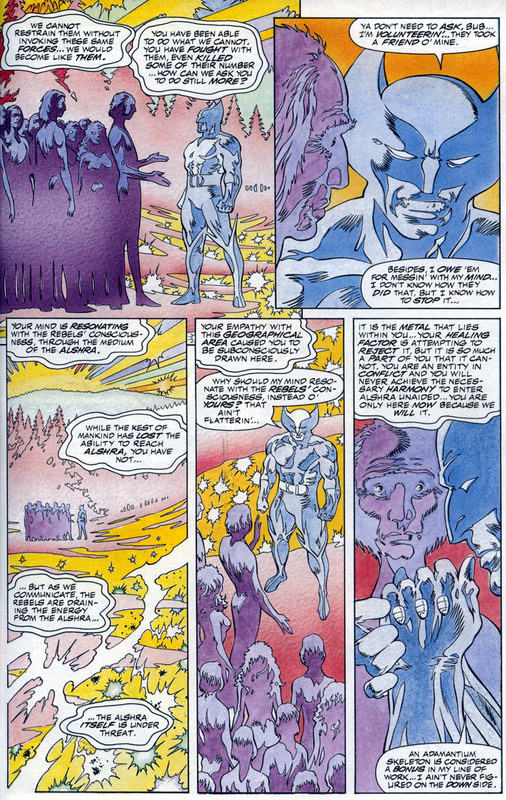 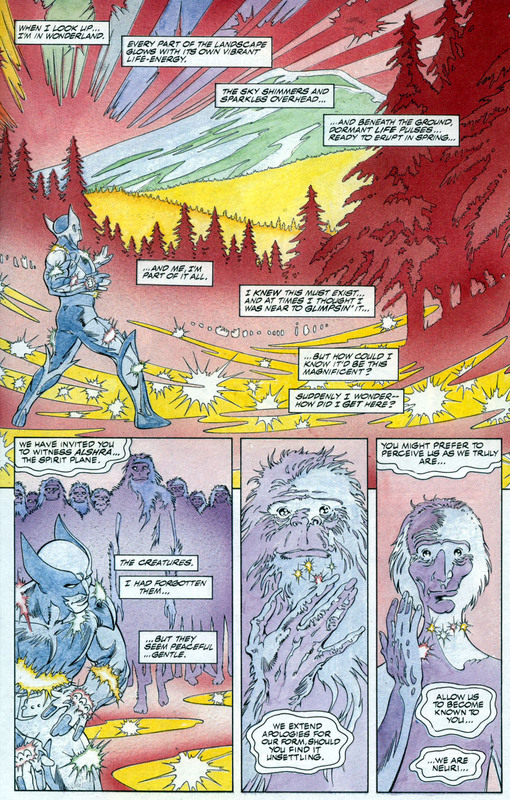 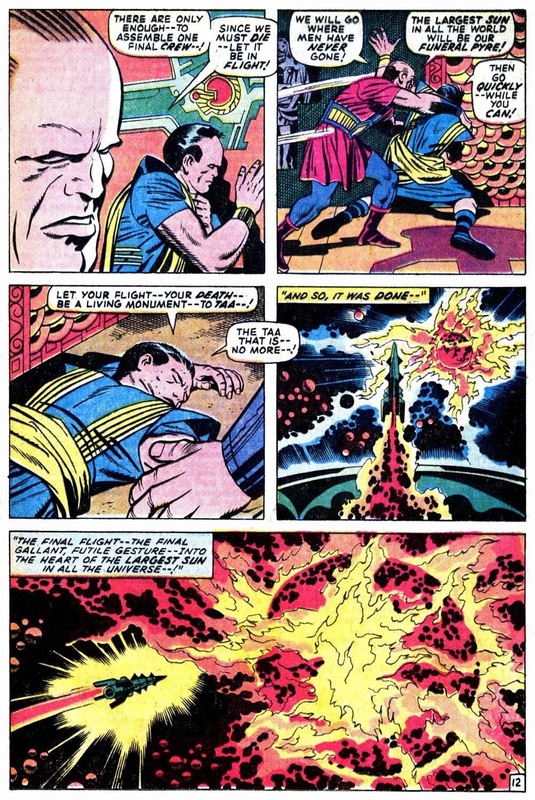 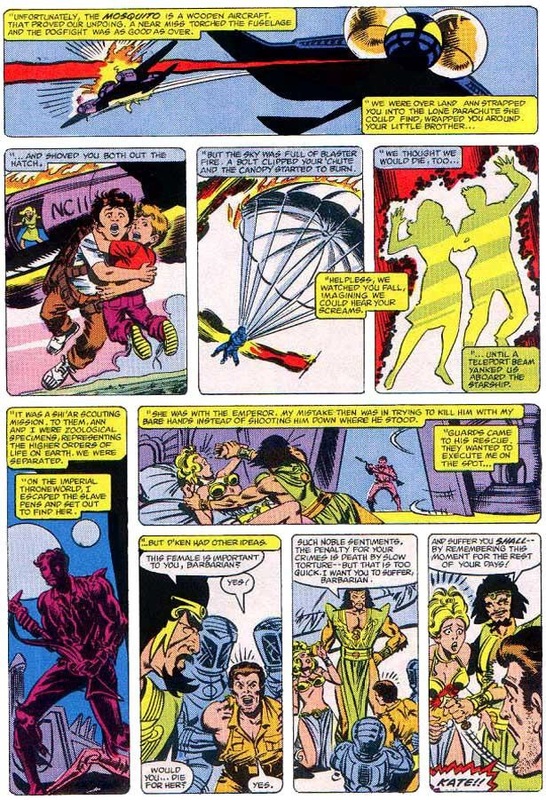 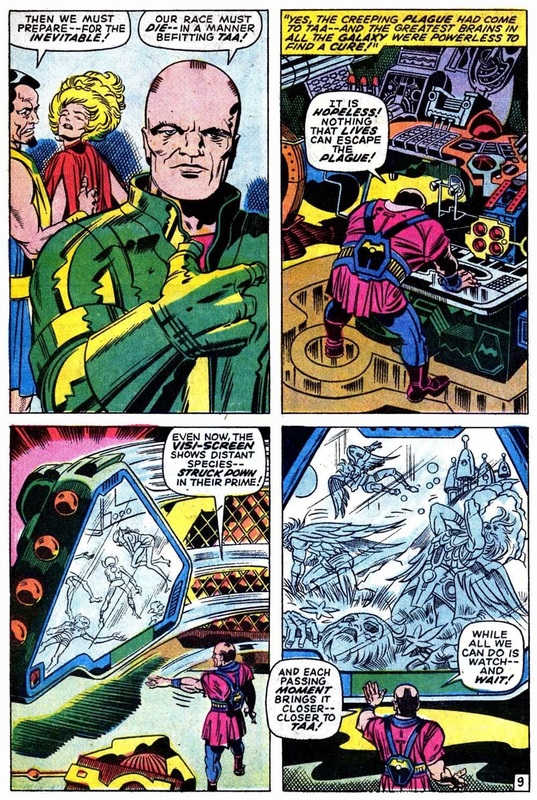 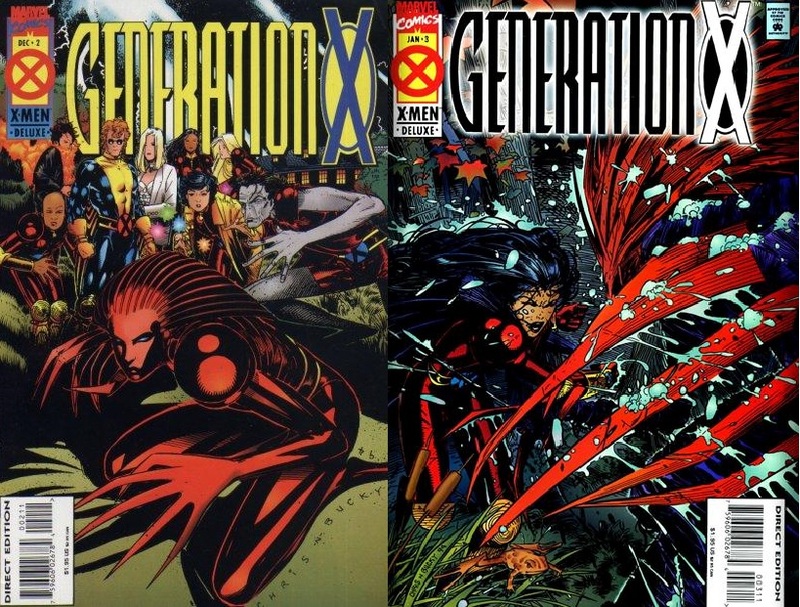 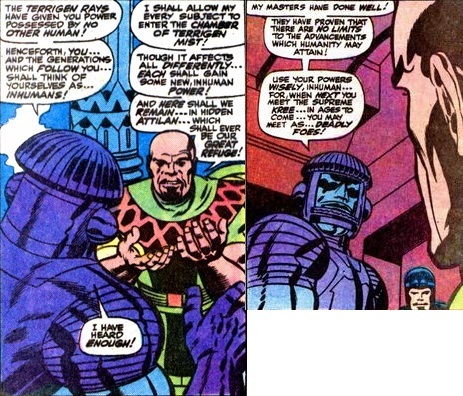 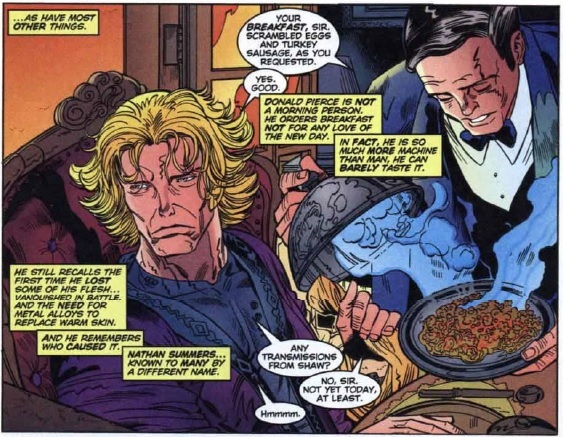 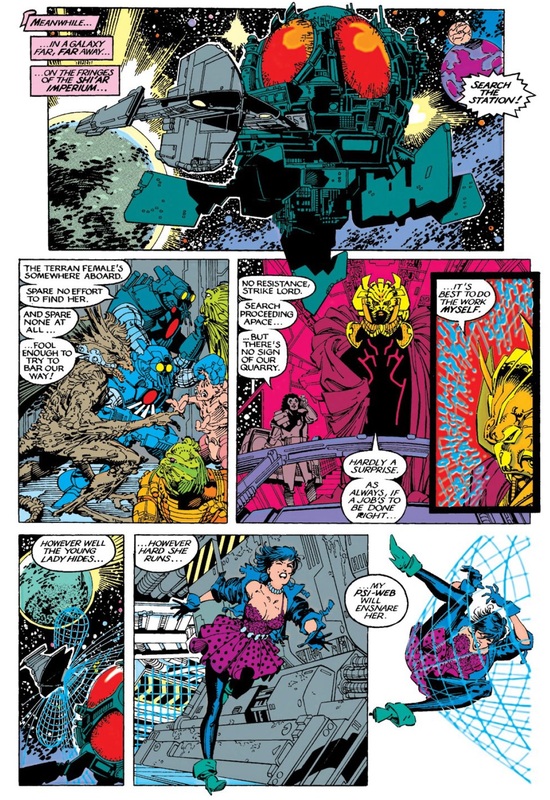 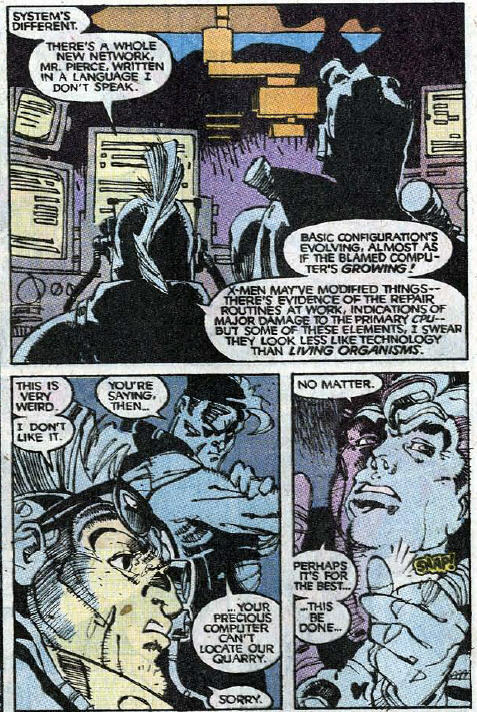 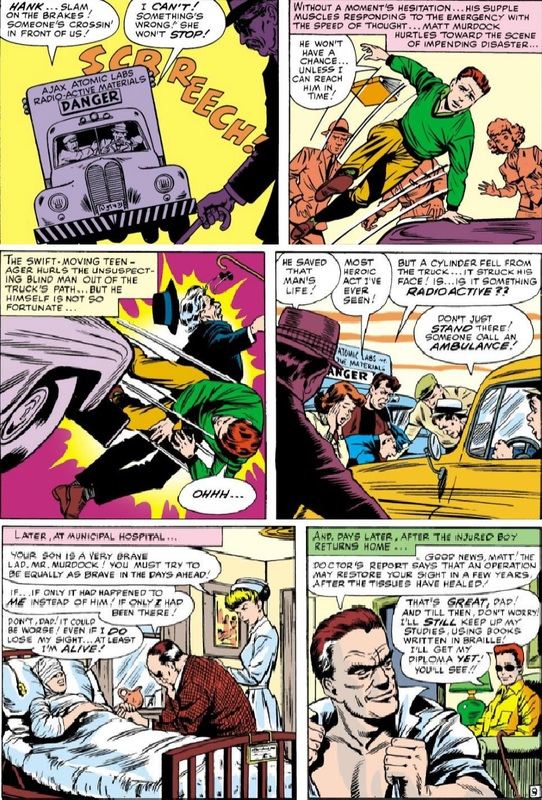 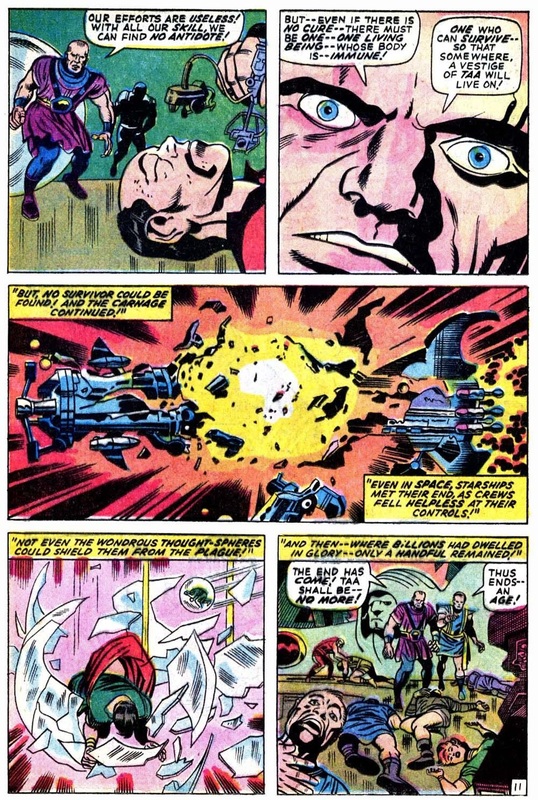 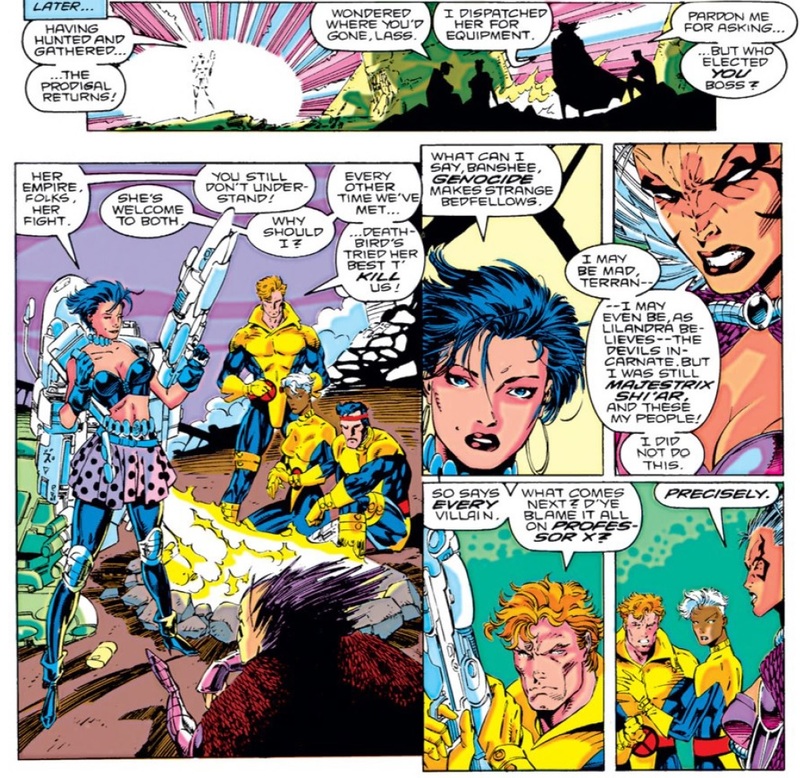 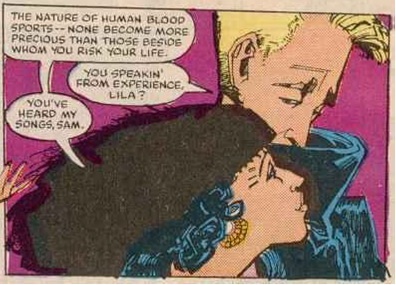 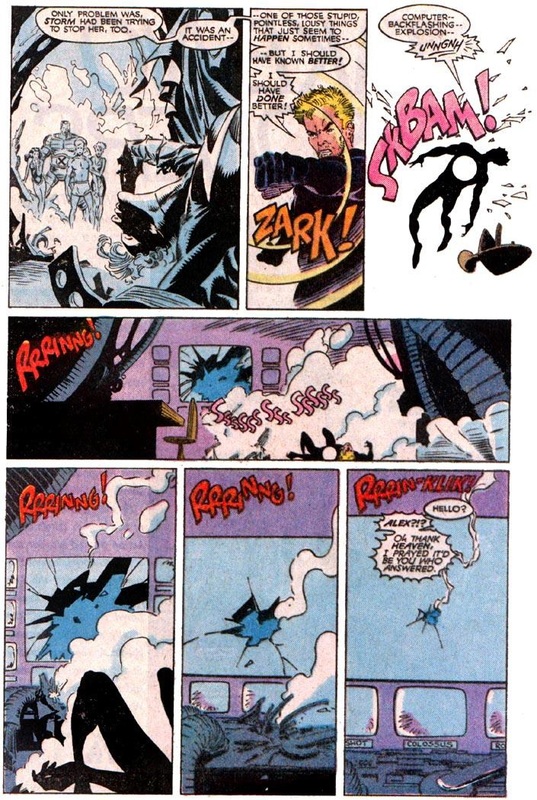 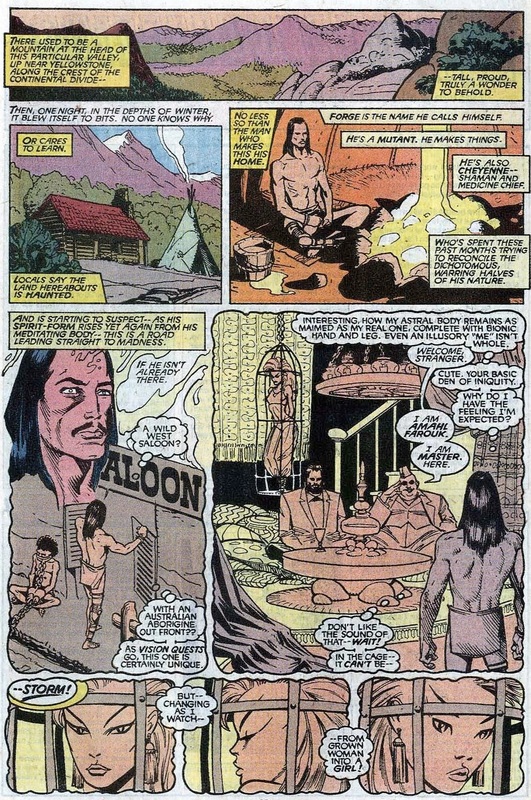 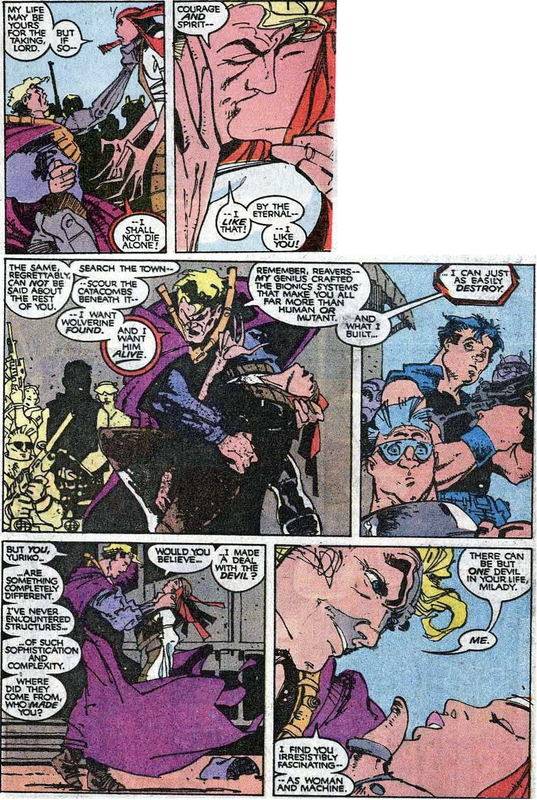 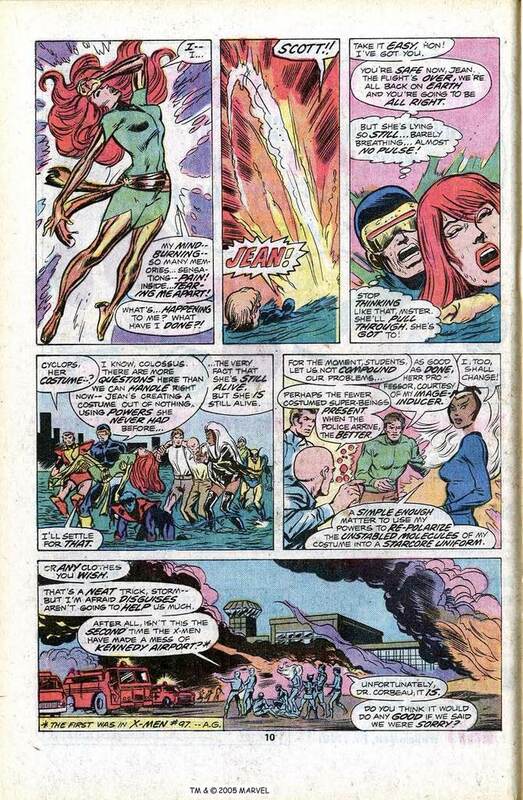 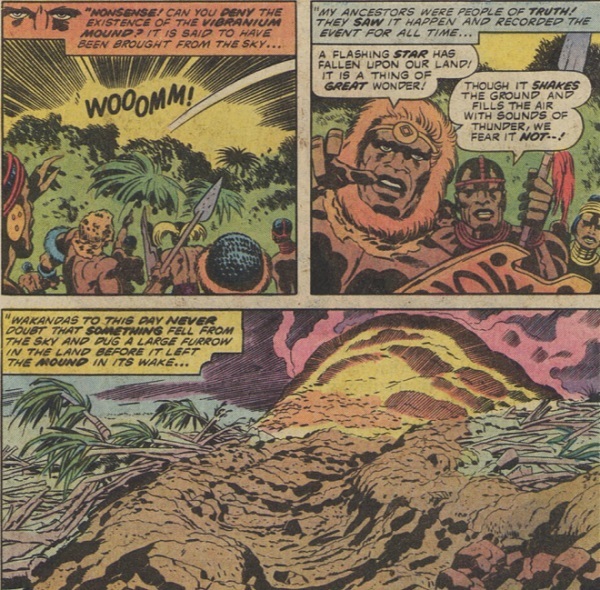 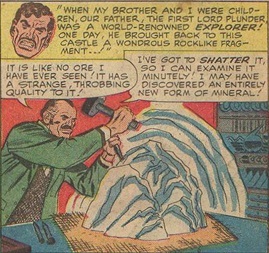 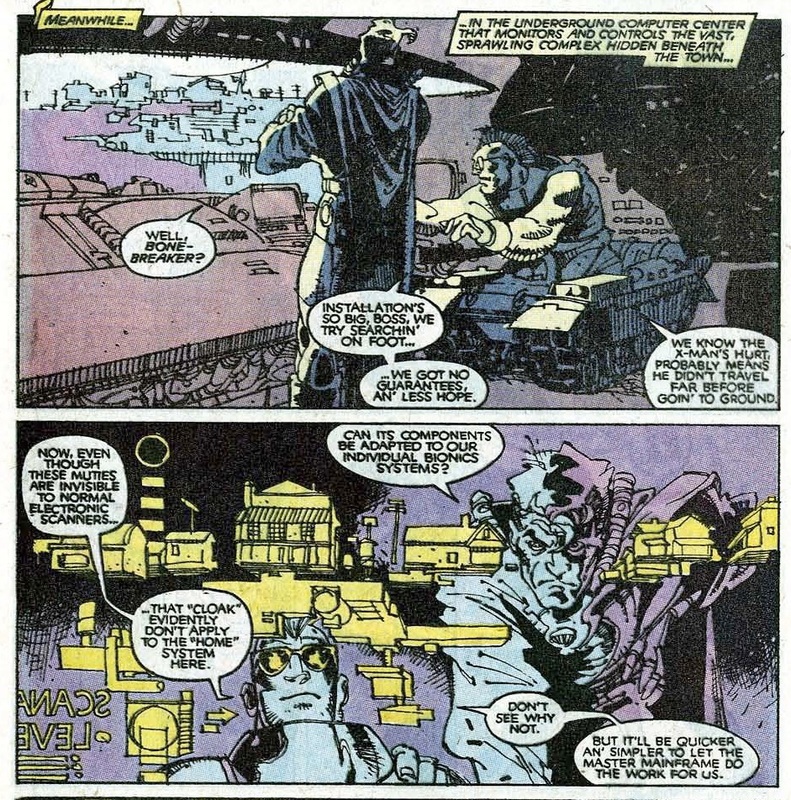 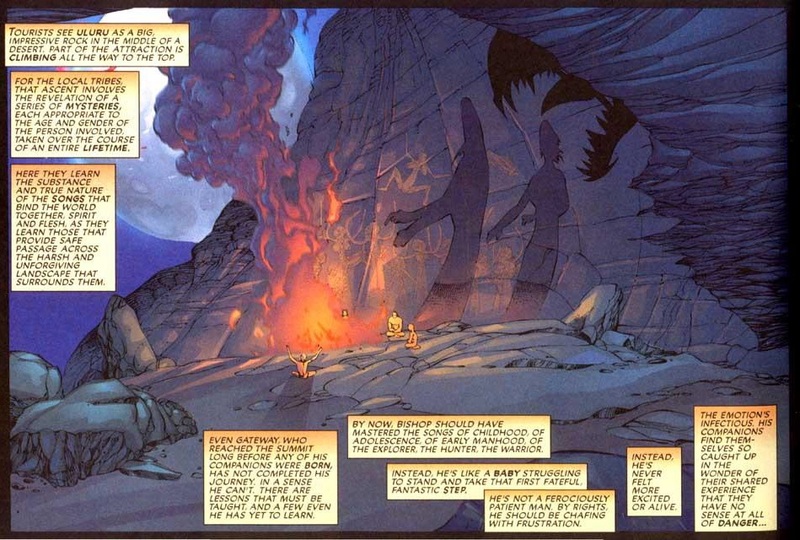 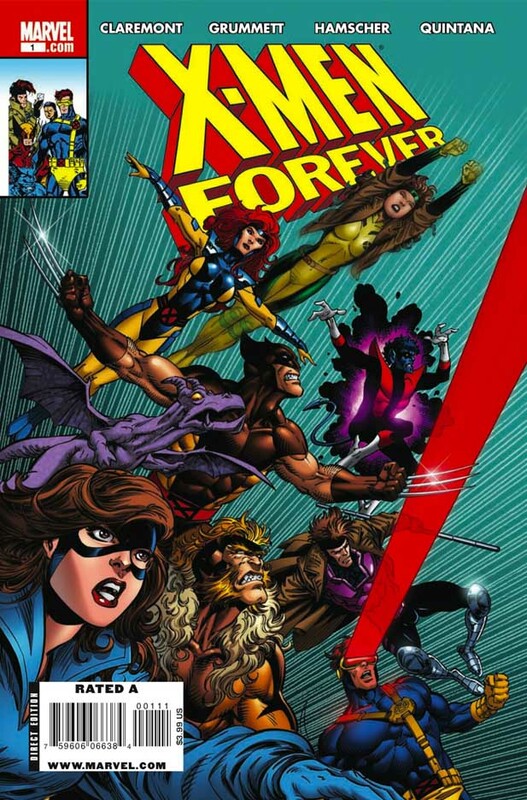 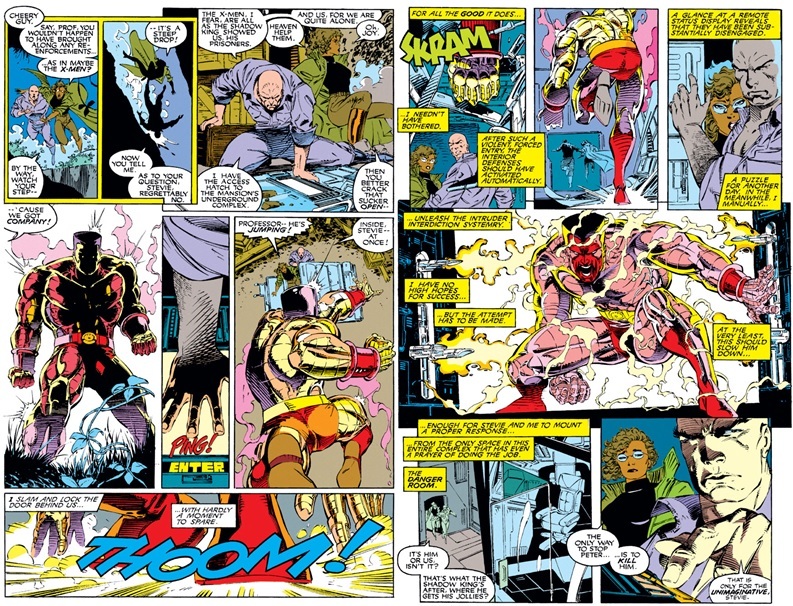 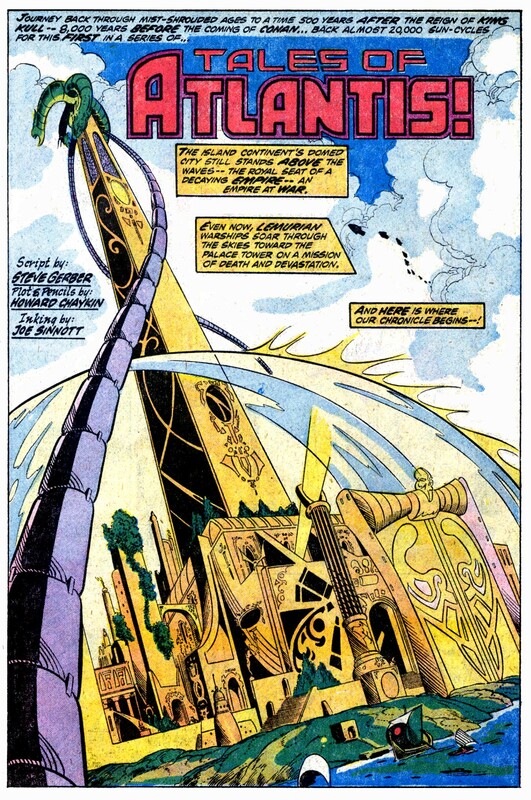 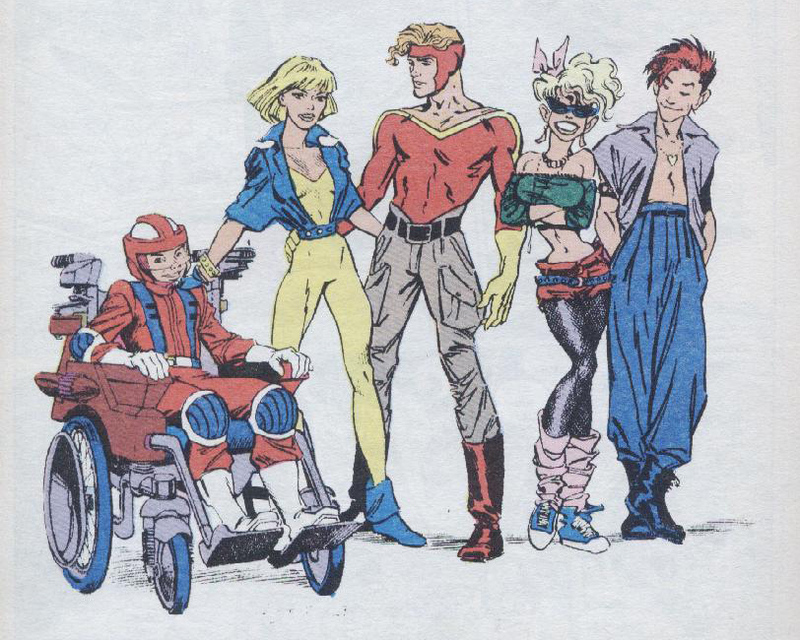 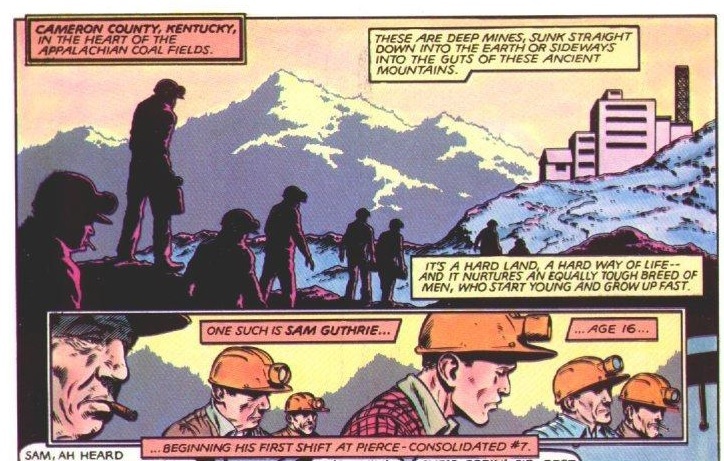 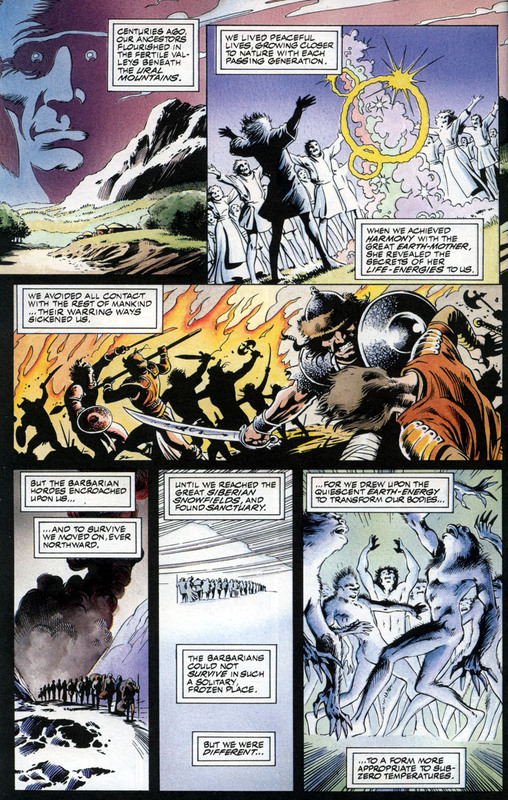 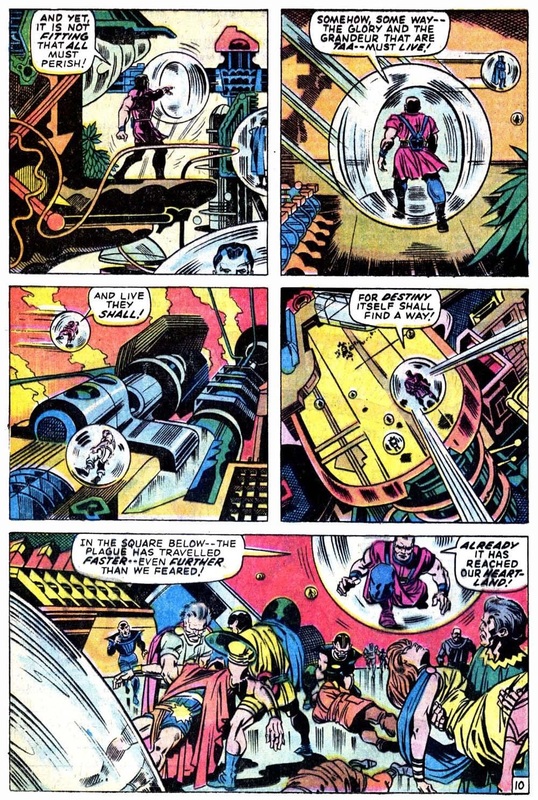 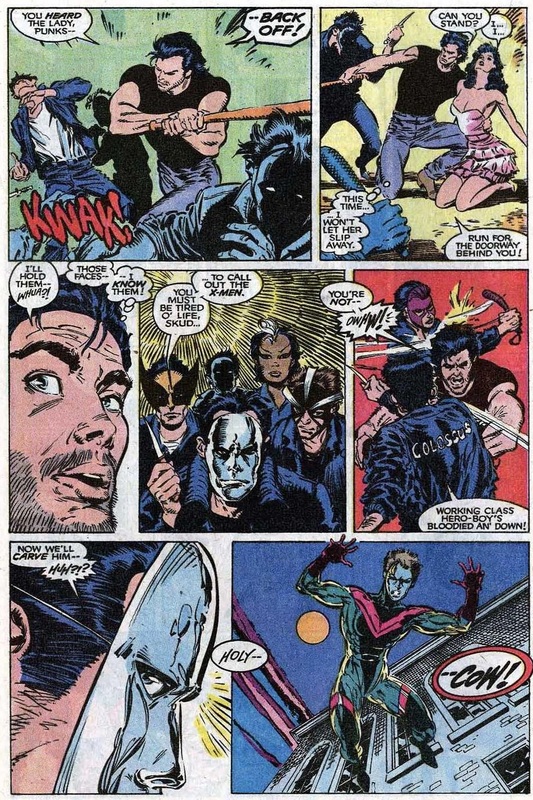 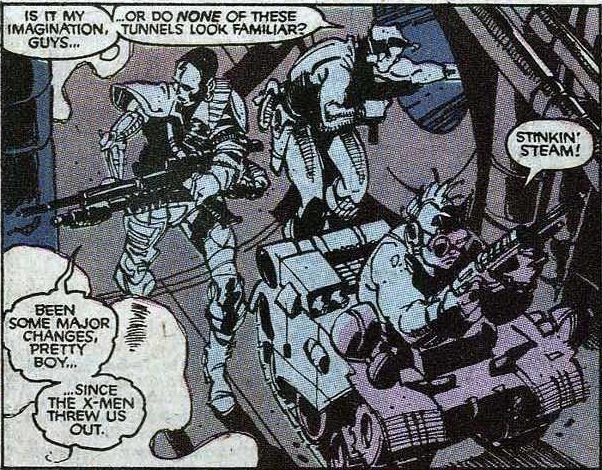 But with behind-the-scenes turmoil and editorial changes in the first few years of Generation X led to non-existent or misshapen origins for each of these new characters; chief amongst those was Penance and M.
Throwing out what later creators did with the characters both in Generation X and other subsequent series, let’s turn back the hands of time and re-imagine what could have been in terms of a convincing, conclusive and creatively deep origin for these two. 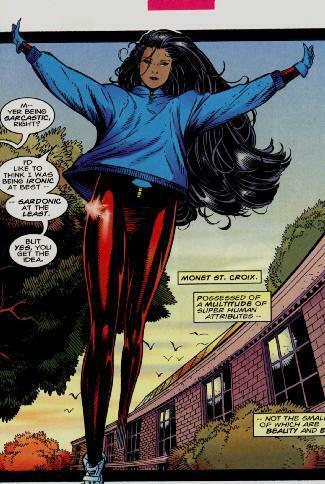 In broad strokes, M (Monet St. Croix) is the aristocratic, well-taken-care of daughter of a rich Monacan family whose mutant powers include strength, invulnerability and mild telekinetic powers. 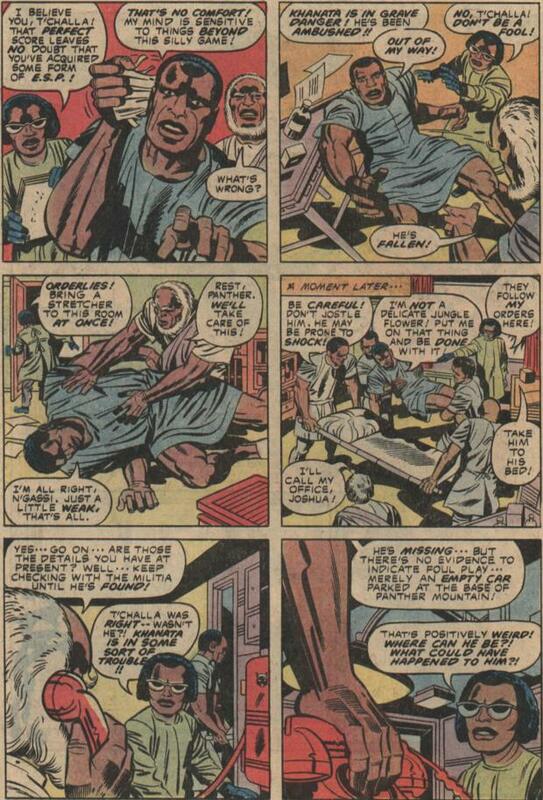 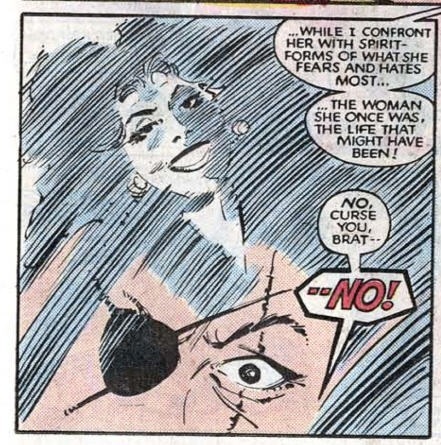 Penance, on the other hand is a mute, withdrawn woman shell-shocked by years of imprisonment by M’s brother Emplate. 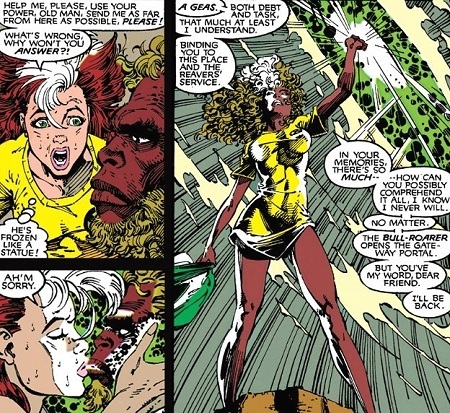 Her powers were ill-defined, but were generally understood to be that her body (and hair) had turned red and hardened to the density and invulnerableness of diamond. 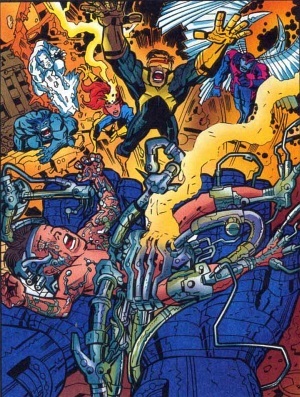 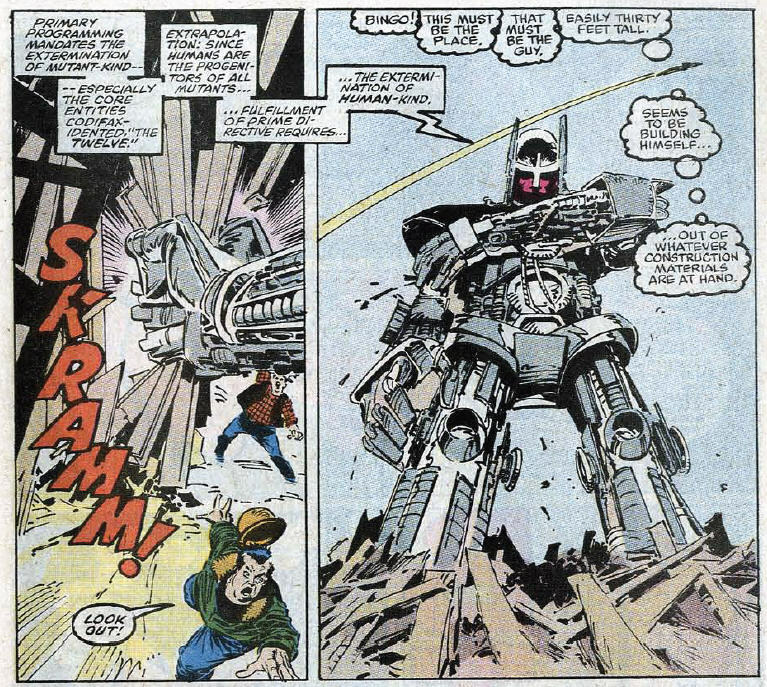 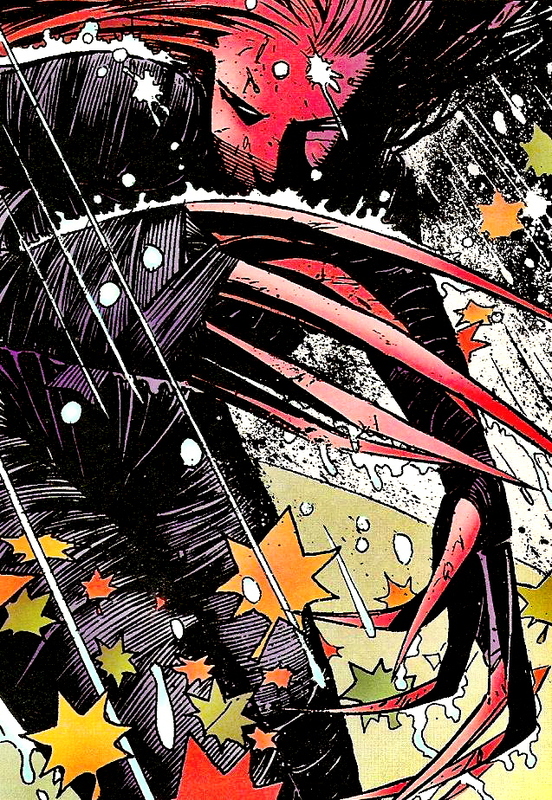 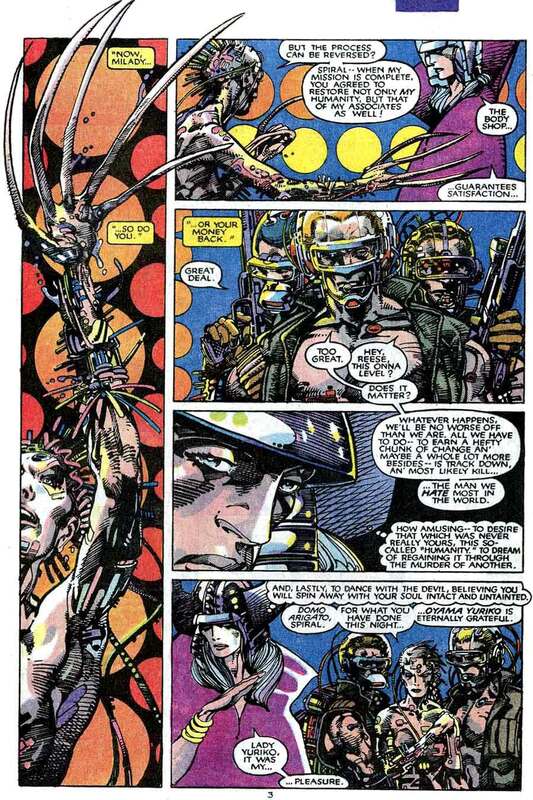 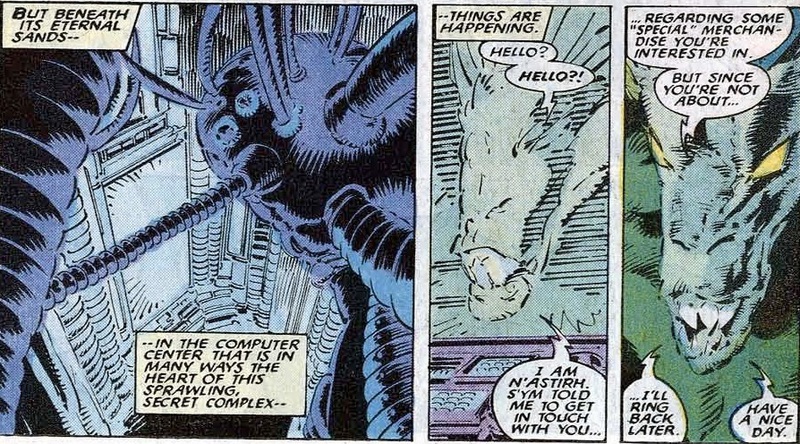 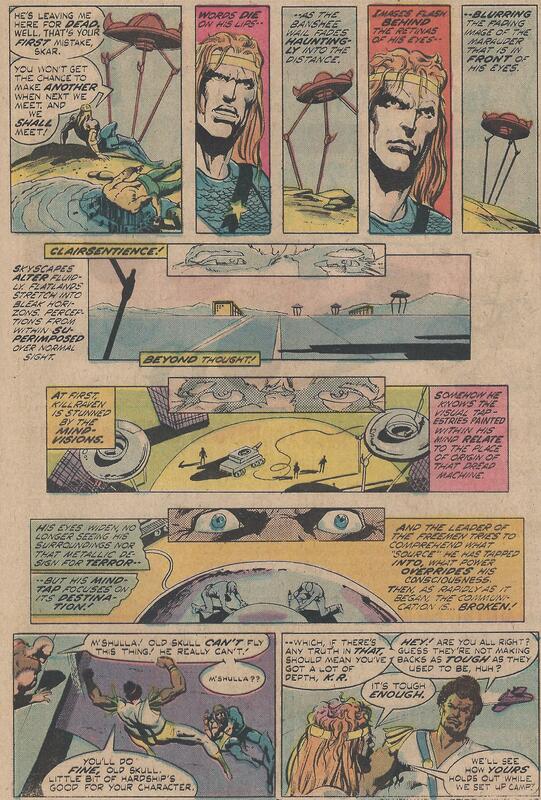 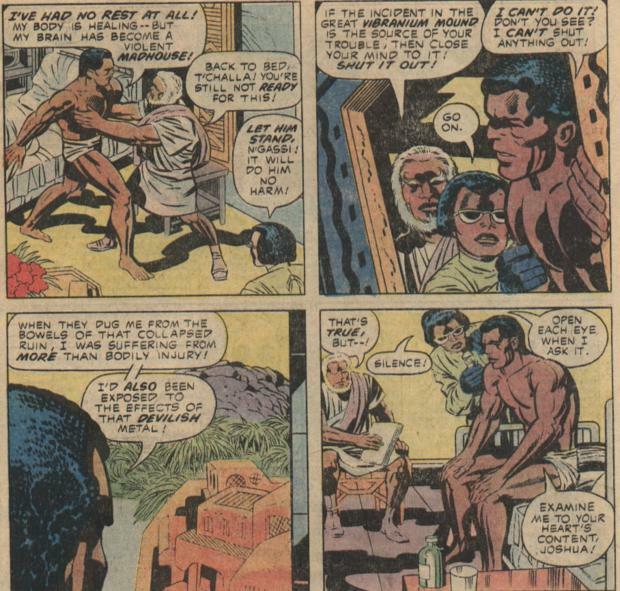 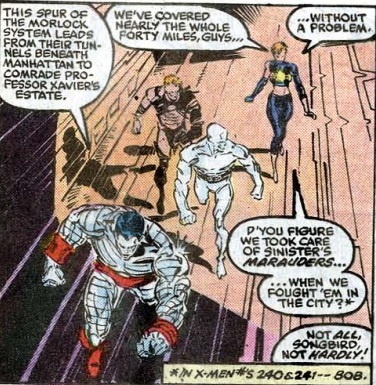 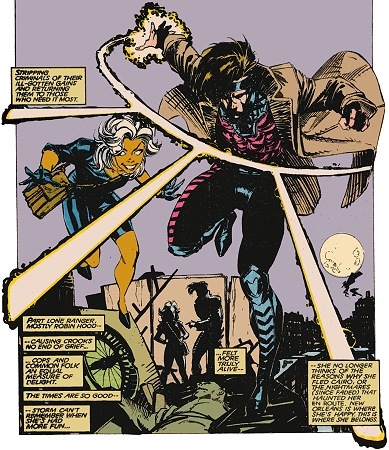 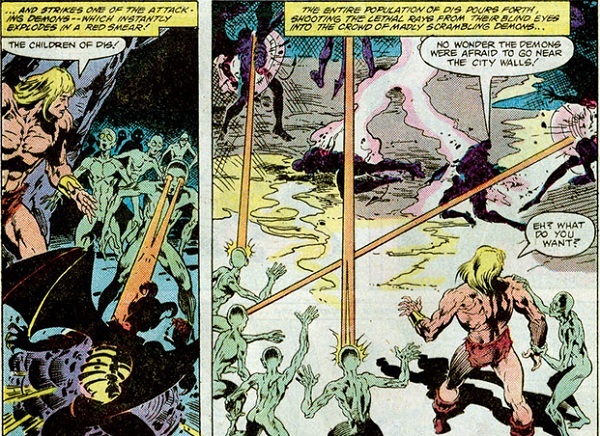 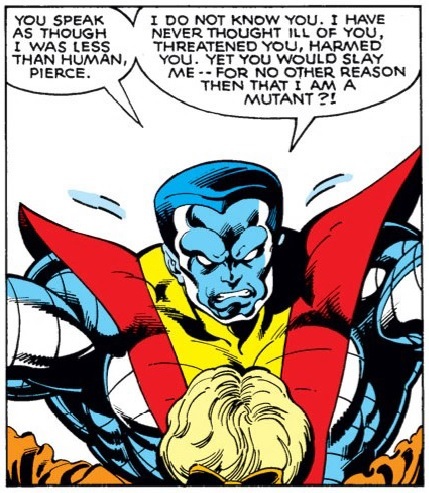 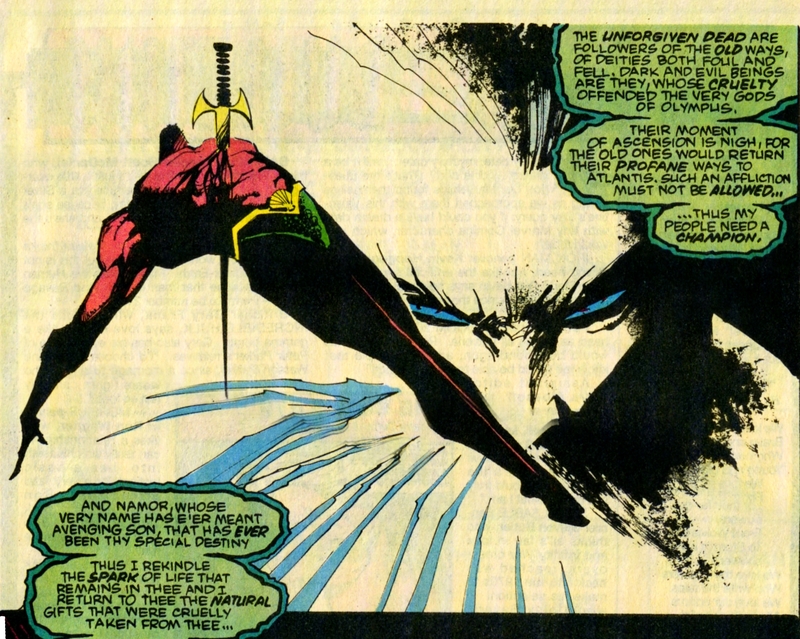 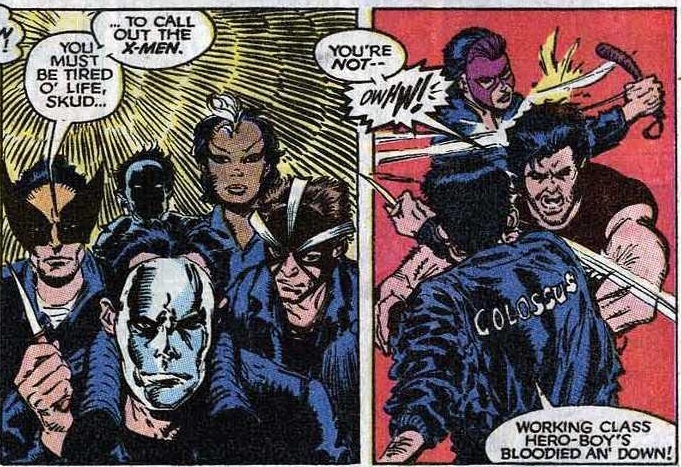 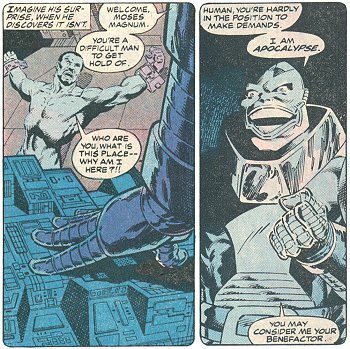 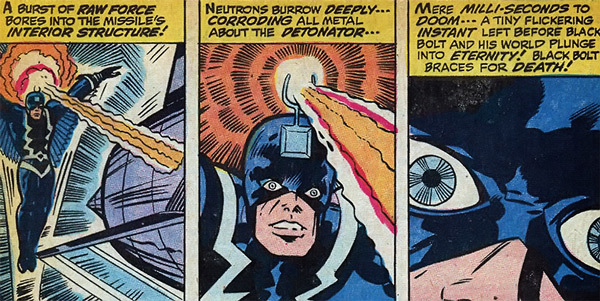 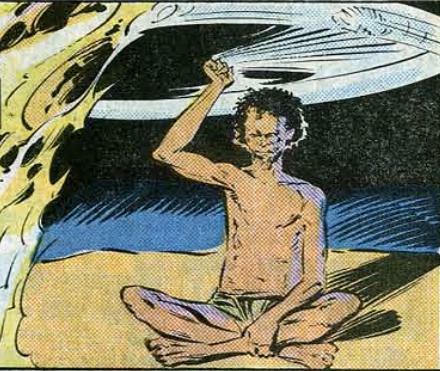 There were connections between M and Penance, but early on in Generation X it was left up to the imagination. 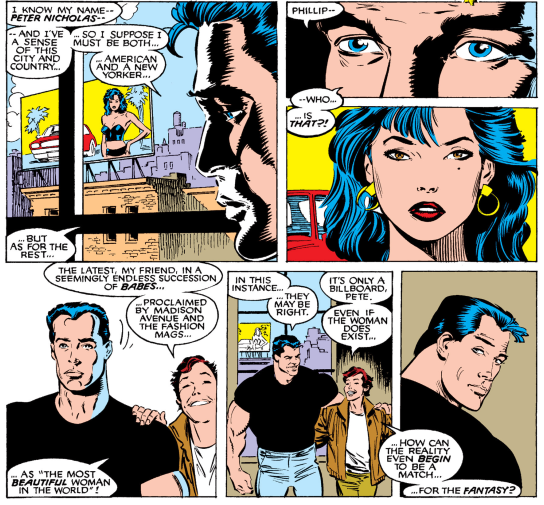 In my fictional scenario here, I would have picked up on Penance’s intended origin as Yugoslavian runaway named Yvette –with a twist. 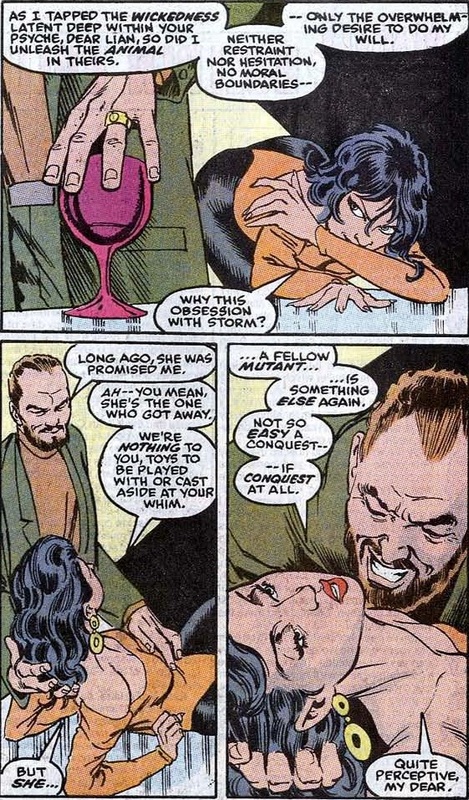 She’s the daughter of Mephisto, stolen away and hidden from him. 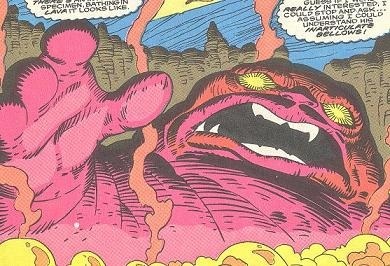 Don’t see the family resemblance? 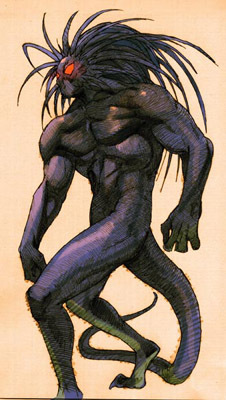 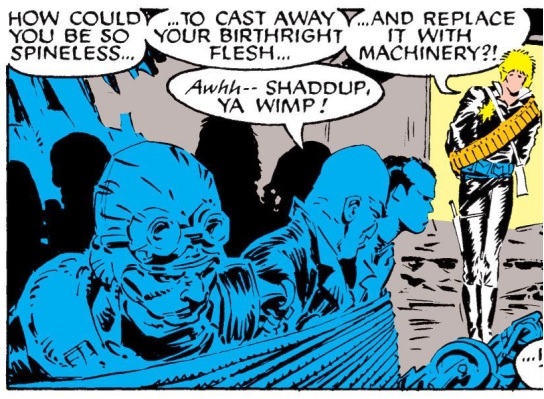 Look at Mephisto’s other child, Blackheart. 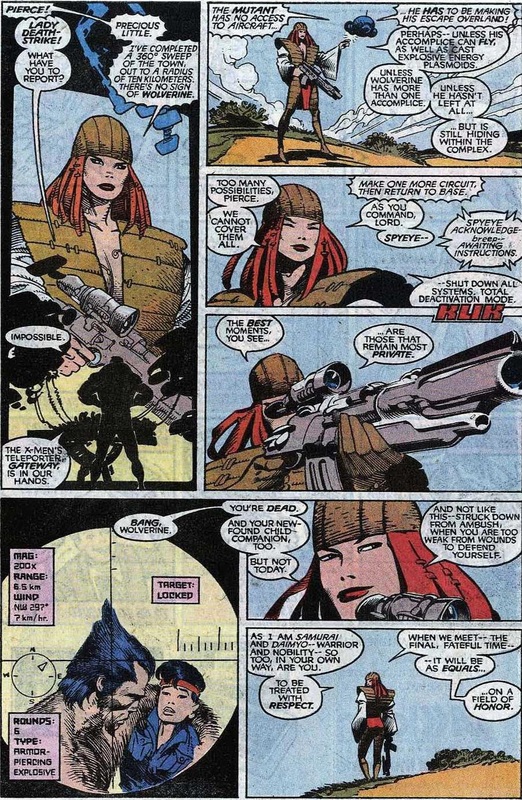 Born in the former Yugoslavia, Yvette could have ended up in Monaco running from tensions building up to Bosnian war. 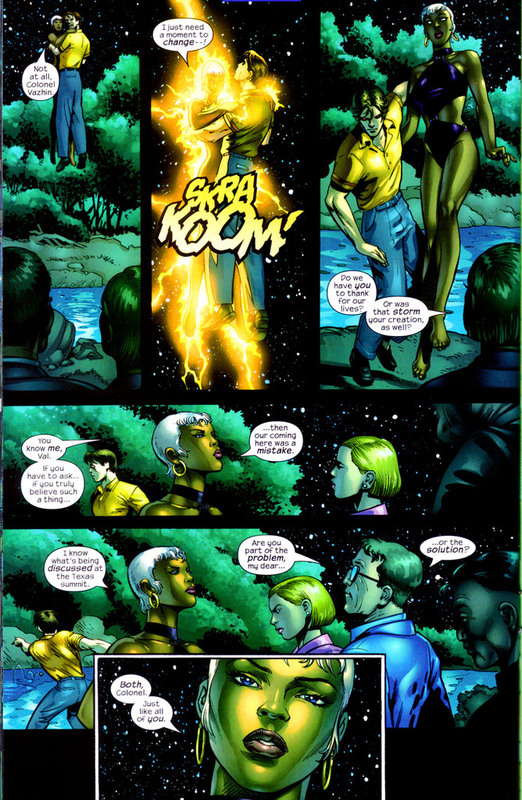 There in Monaco, Yvette could’ve come under the of the St. Croix family. 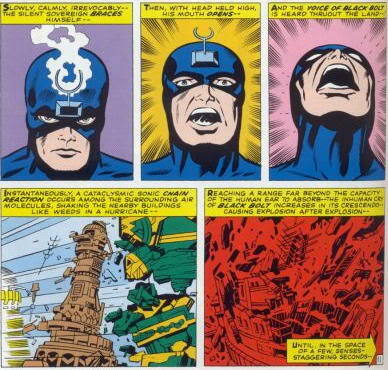 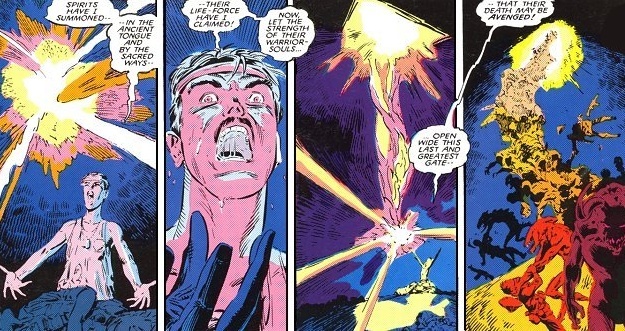 The St. Croix would’ve at the same time been dealing with the son Marius (the future Emplate) first manifestations of his powers and his early attempts at using it for sadistic purposes. 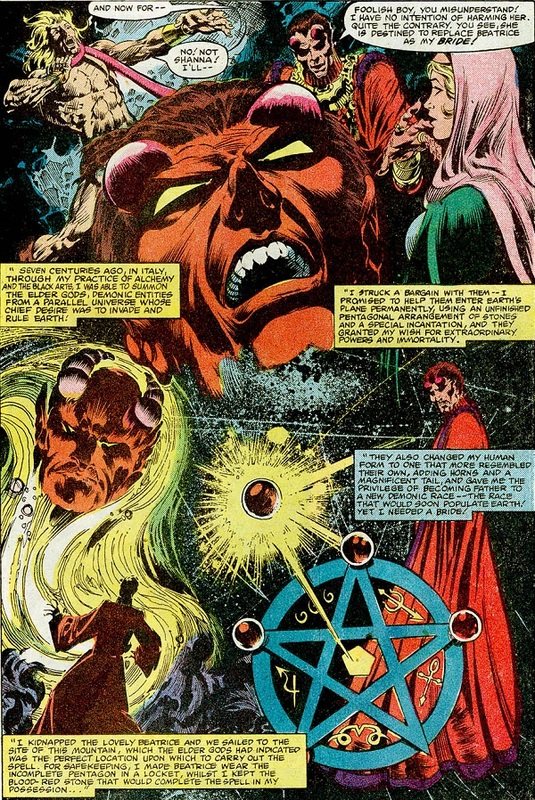 The St. Croix family reaches out to Mephisto to make a Faustian bargain to “correct” Marius’ evil tendencies in exchange for the future servitude of his sister, Monet. 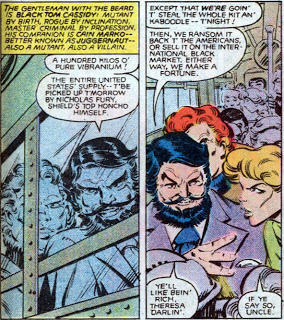 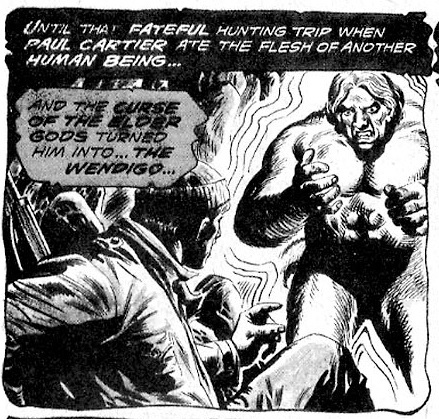 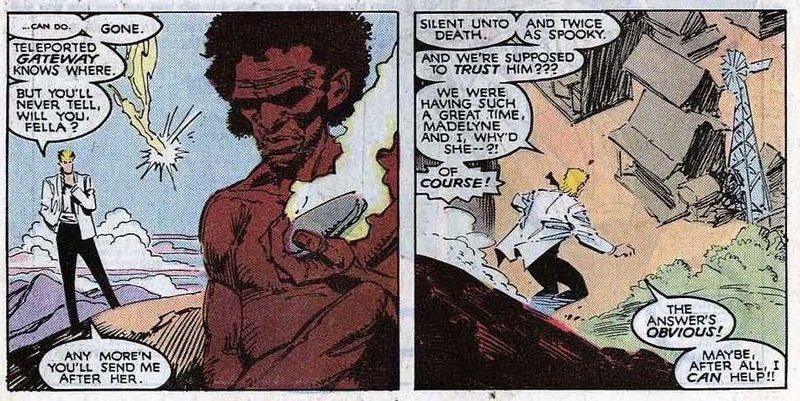 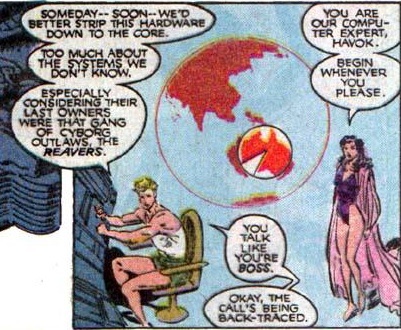 Yvette could be pulled into this by being forced to replace Monet by the St. Croix parents in a blood pact with; Yvette would’ve been caught in the middle of it and transported to Mephisto’s hellish realm and saved, surprisingly, by an earlier incarnation of Ghost Rider. 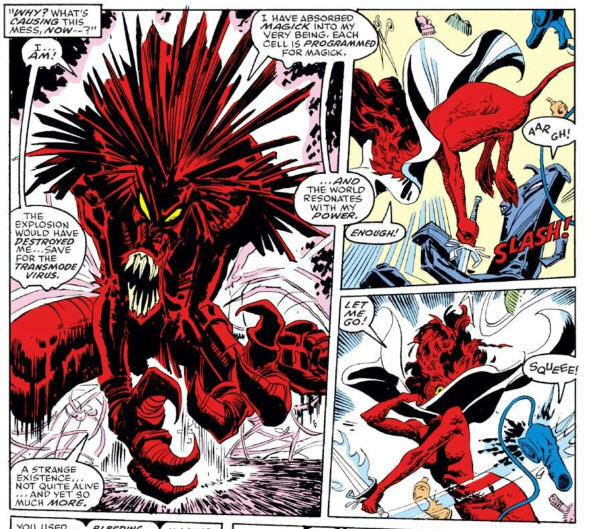 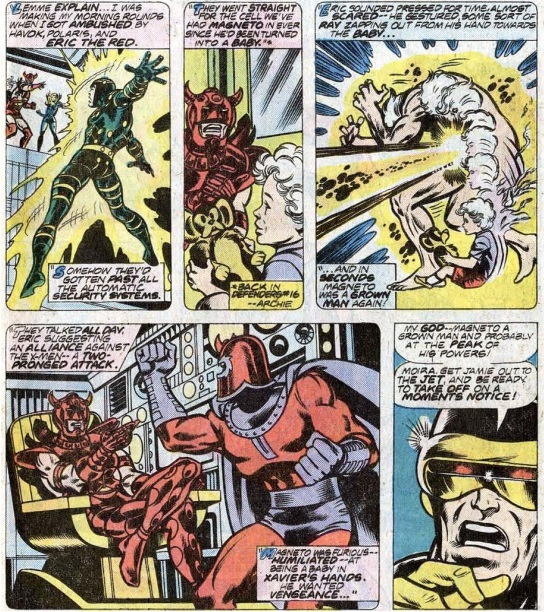 Her powers, as it were, are bent when she gets an ill-timed dose of Ghost Rider’s Penance Stare, reacting badly with her powers and shocking her system into her familiar red form. 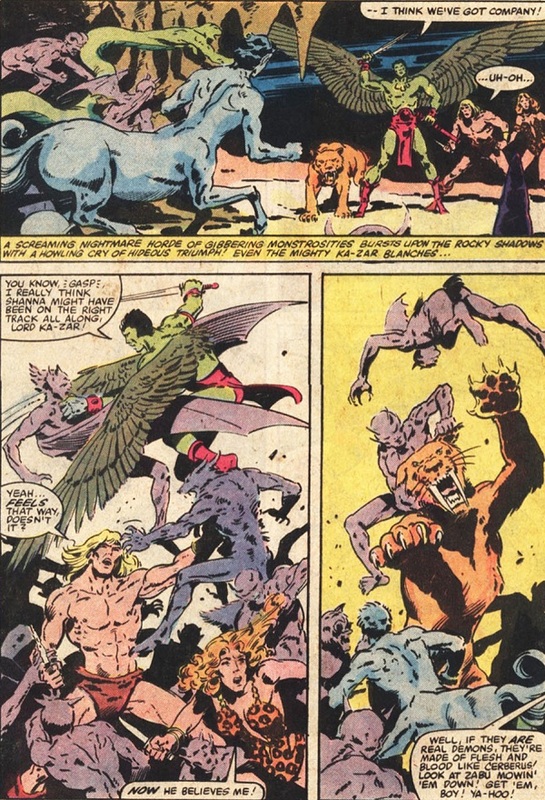 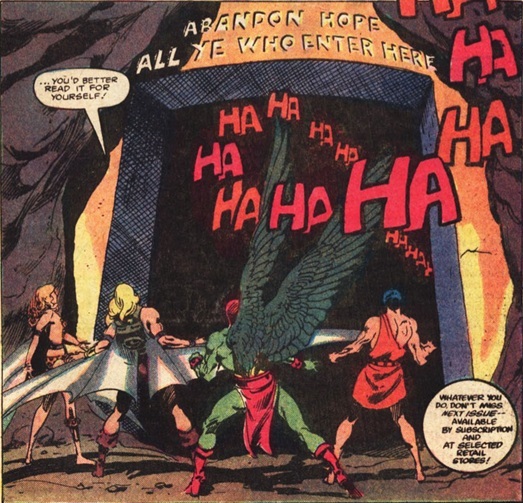 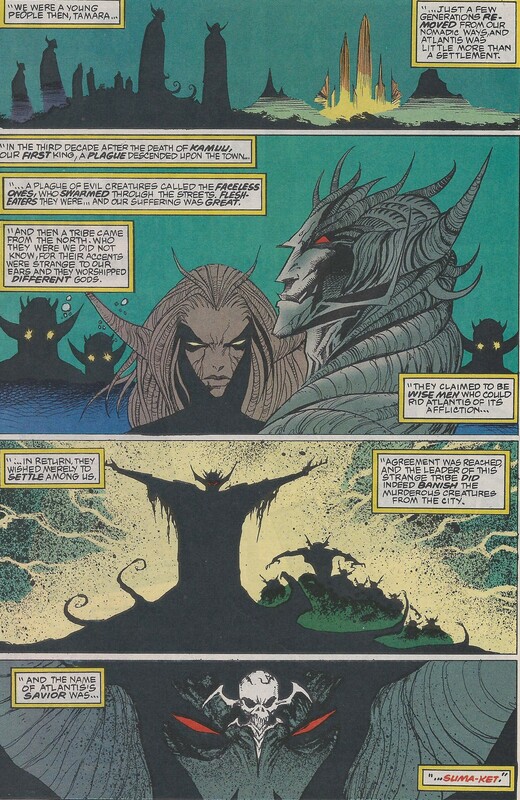 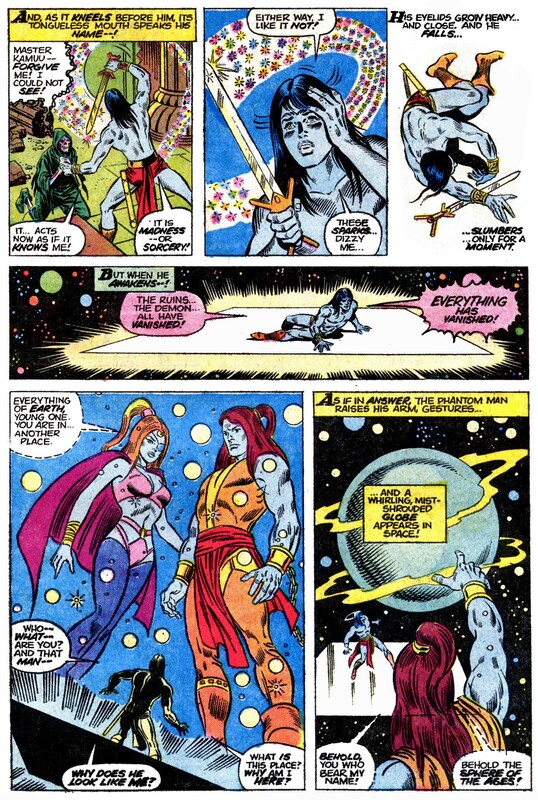 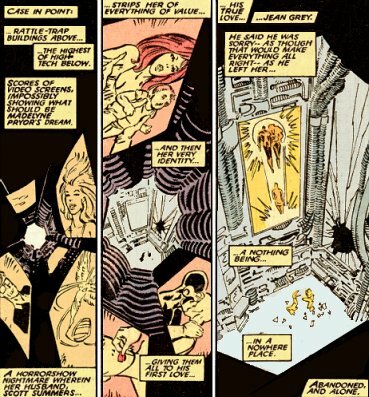 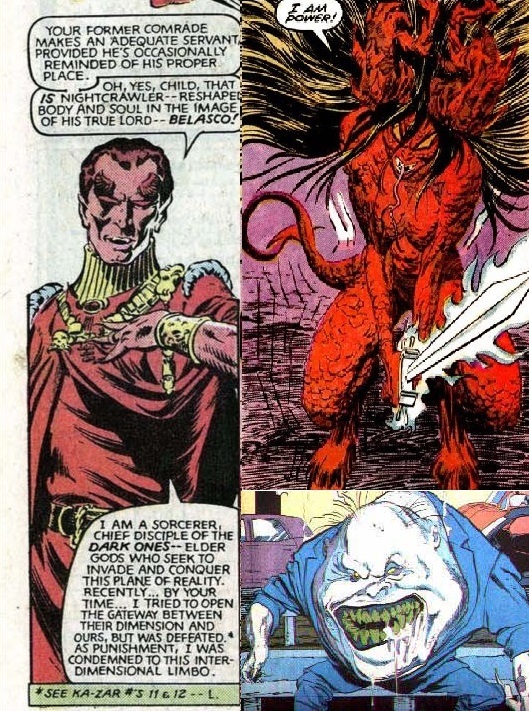 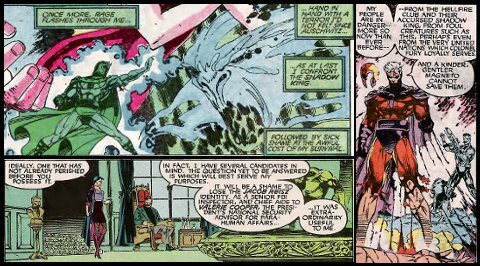 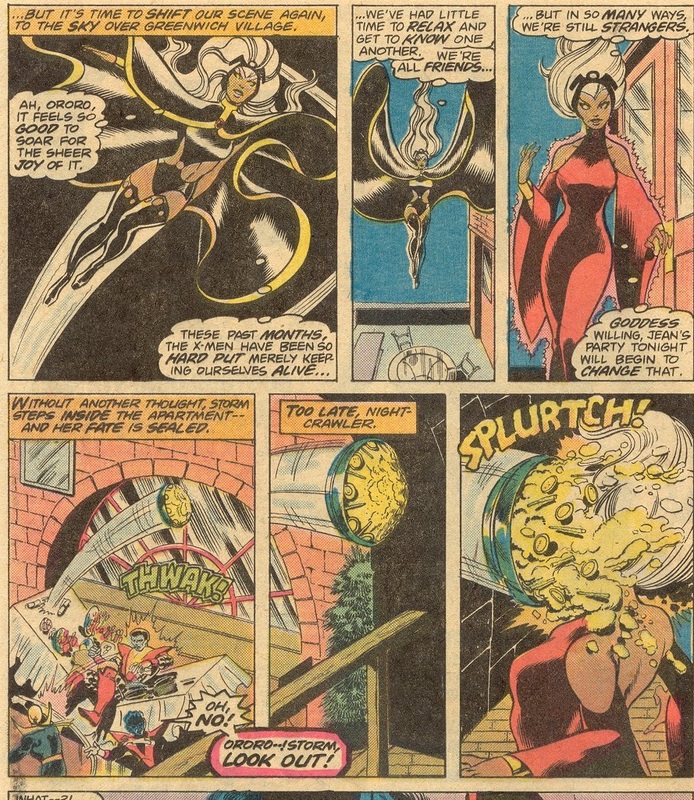 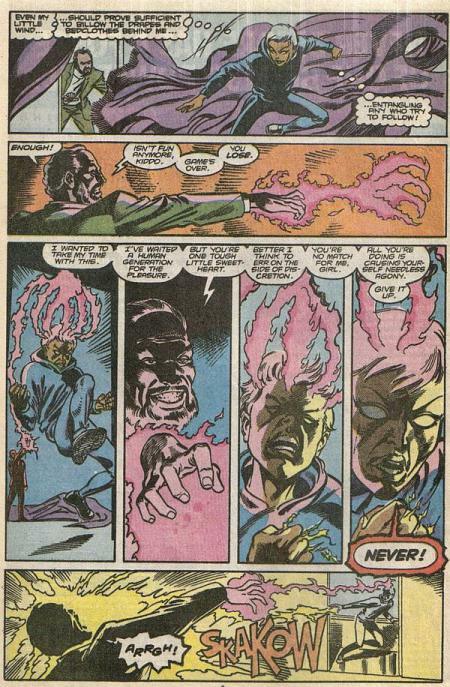 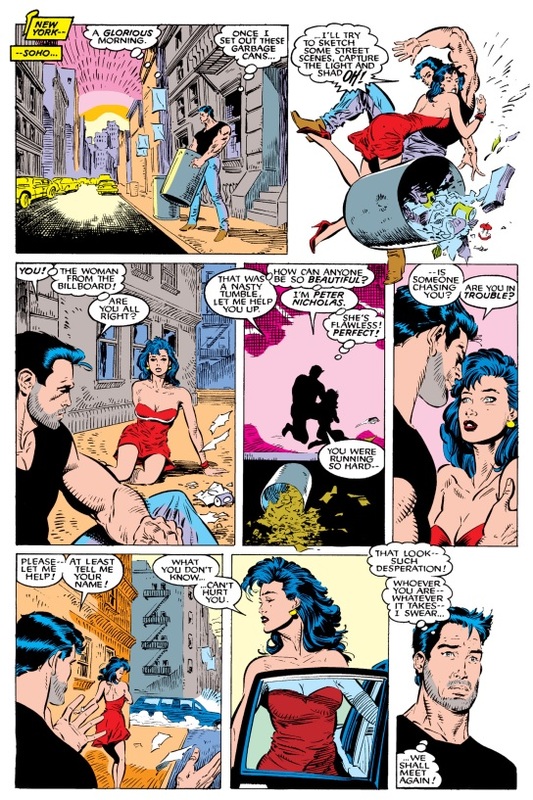 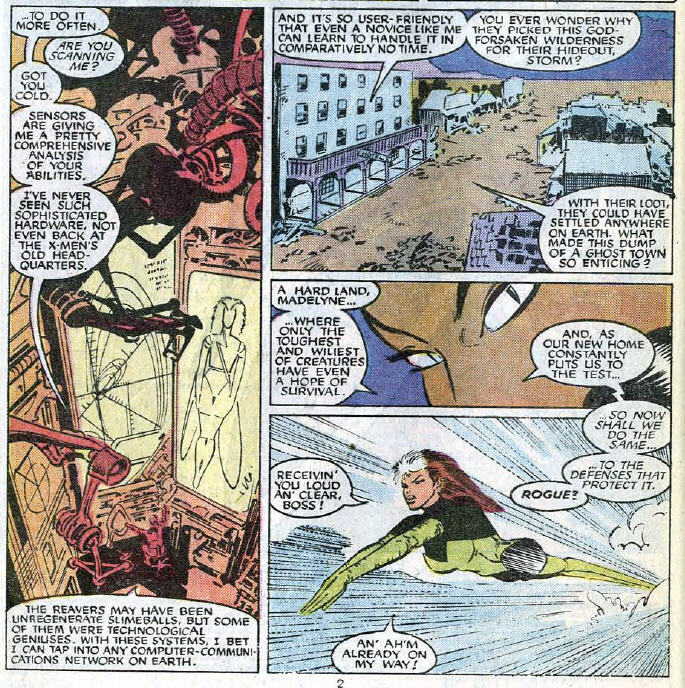 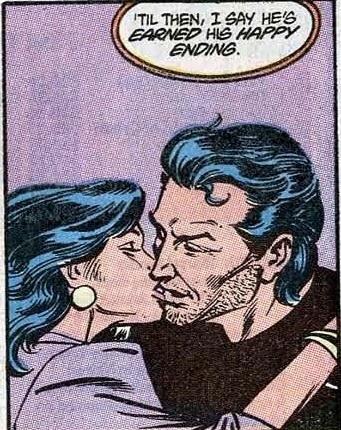 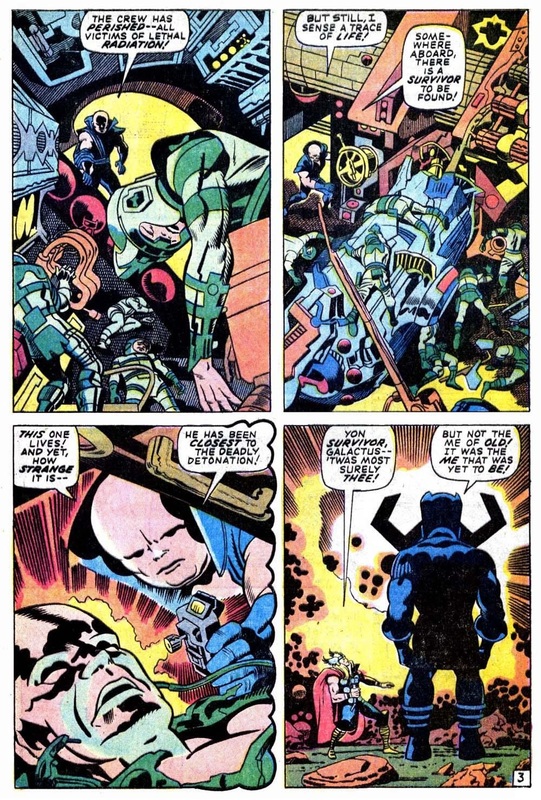 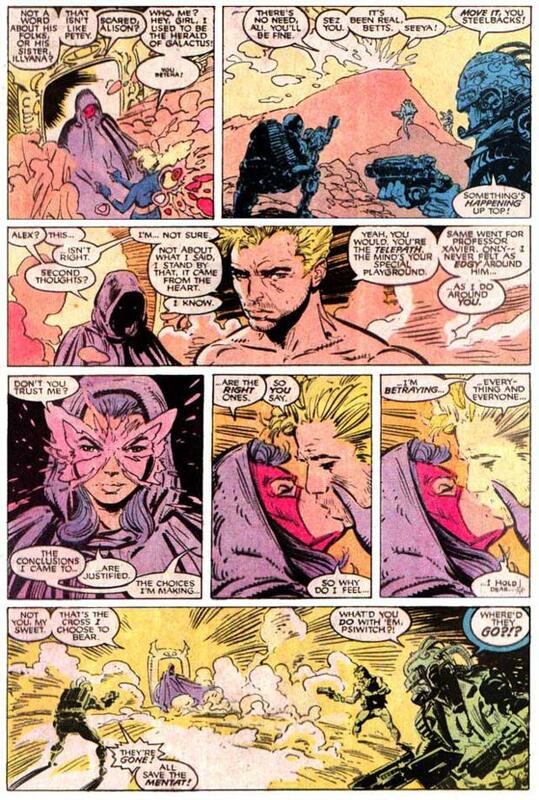 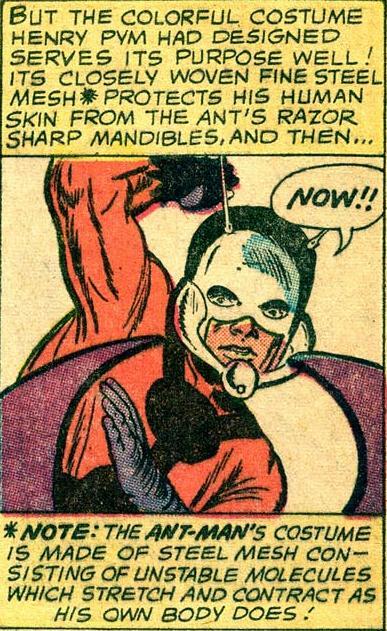 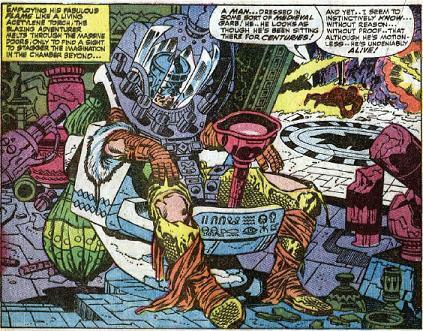 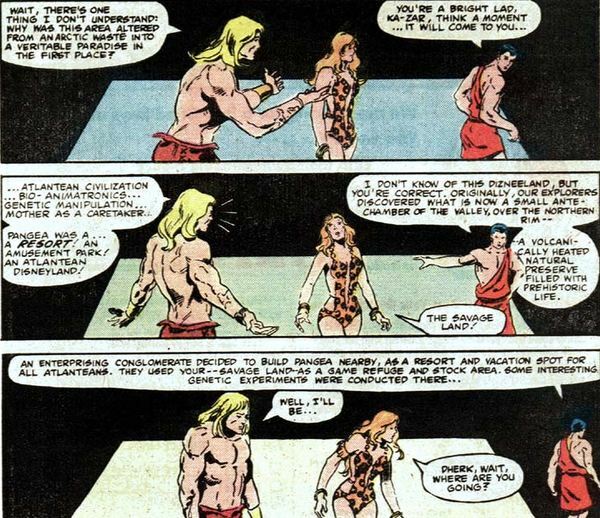 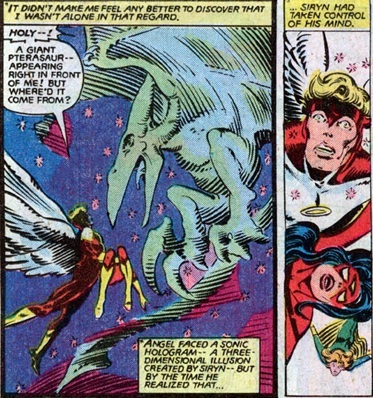 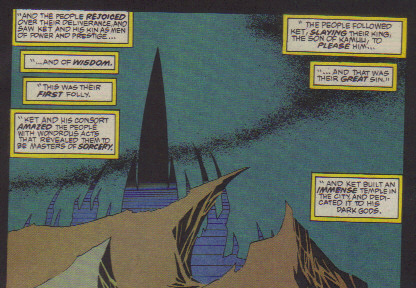 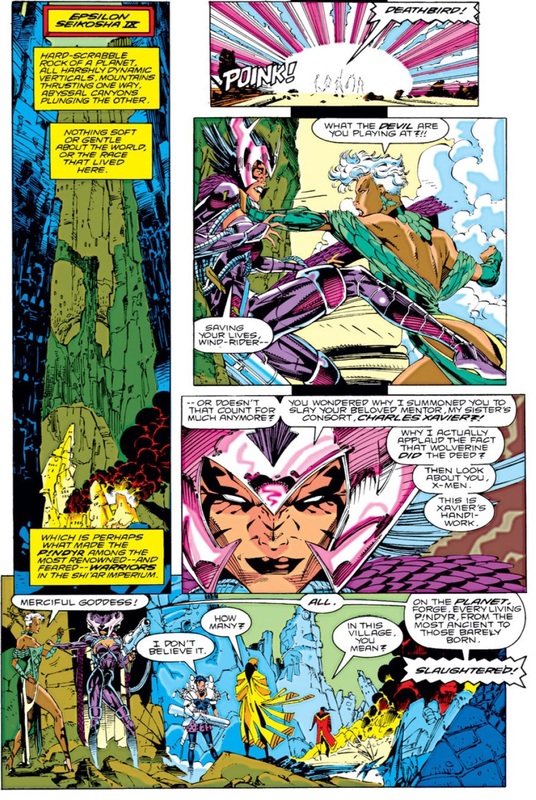 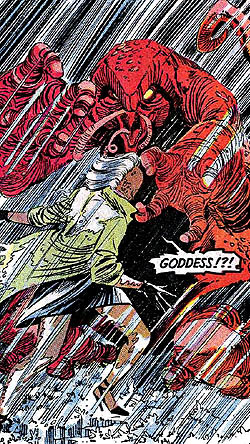 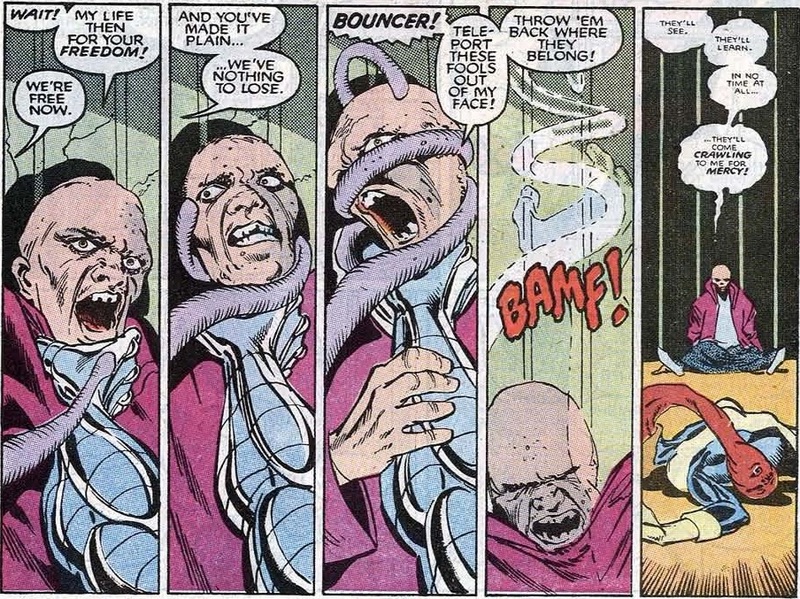 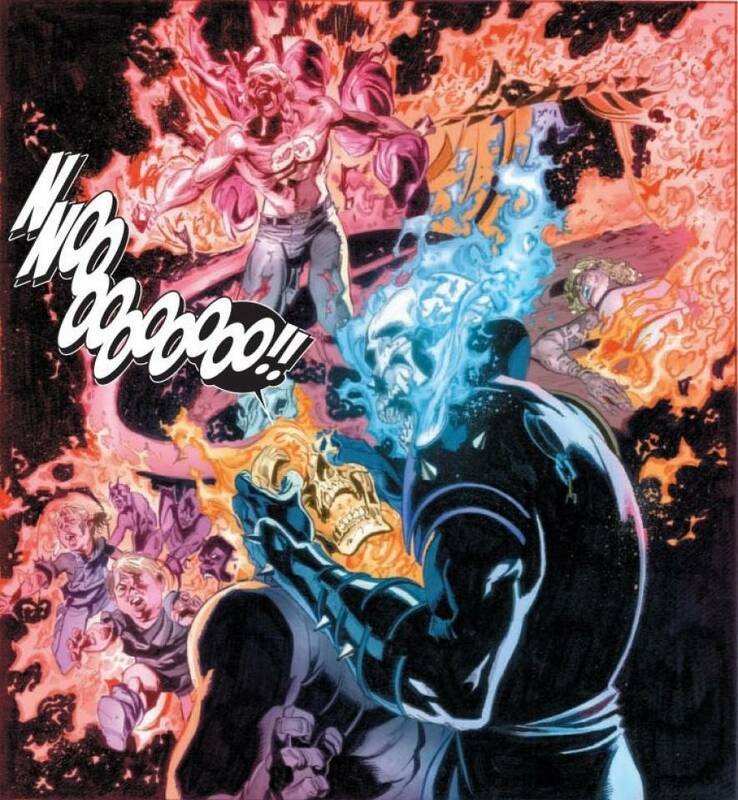 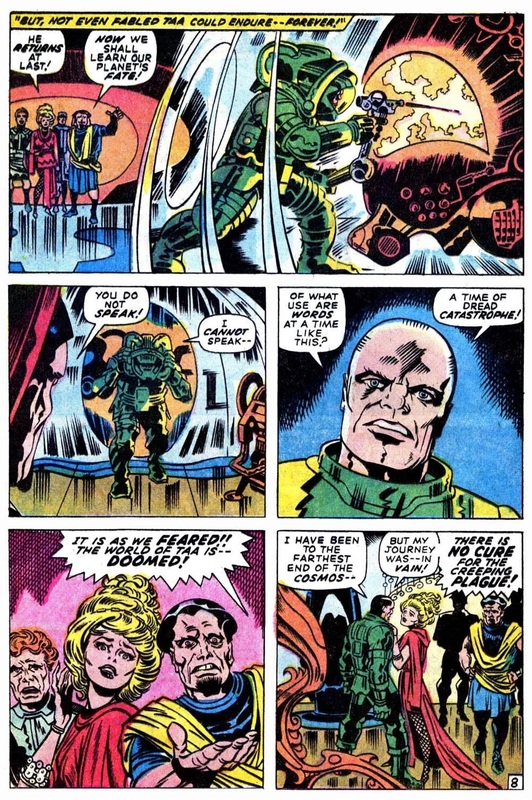 She ends up in the confines of Emplate’s realm when he strikes a side bargain with Mephisto. 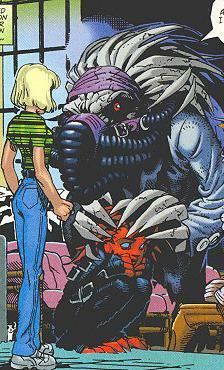 For Penance, this would create a more simplistic origin that ties her into more general Marvel elements; namely, Mephisto and Ghost Rider. 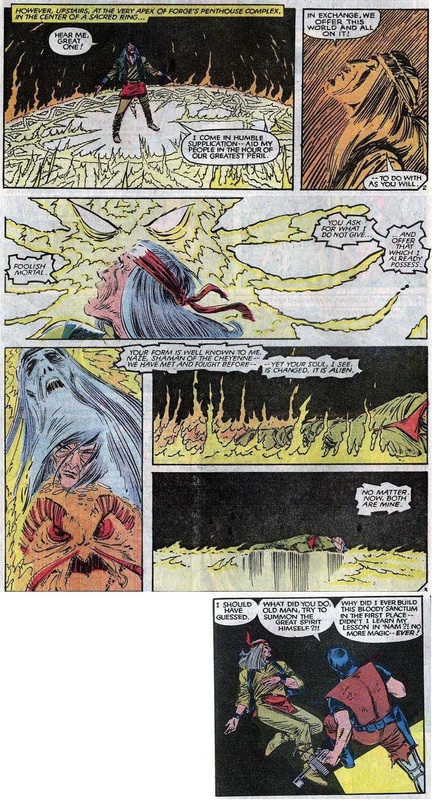 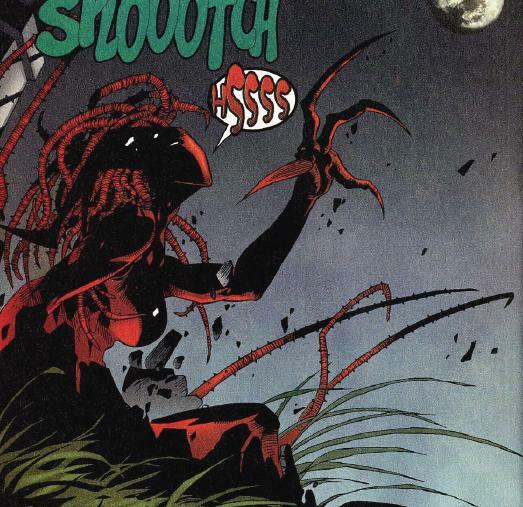 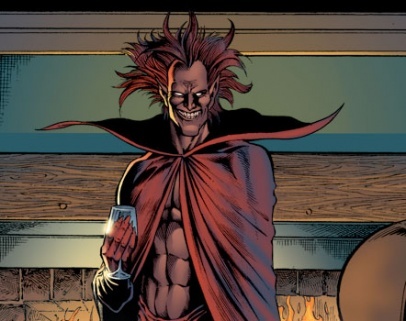 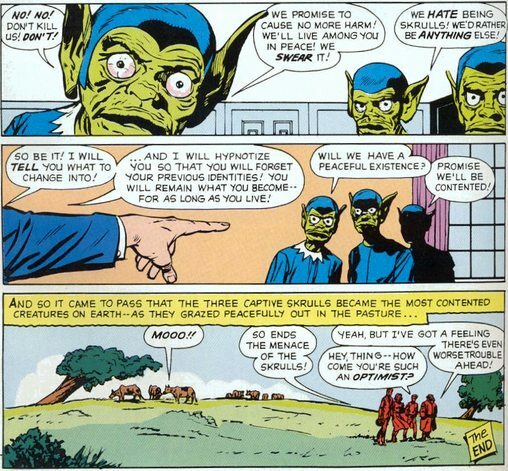 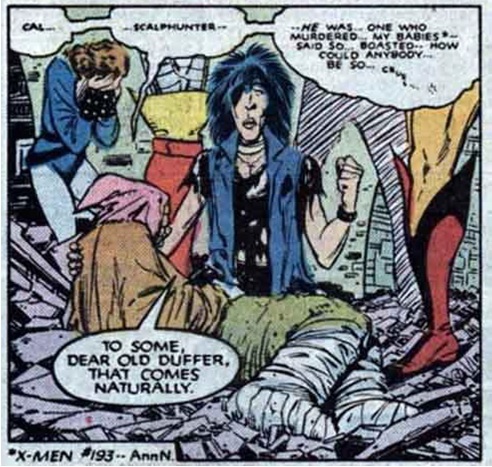 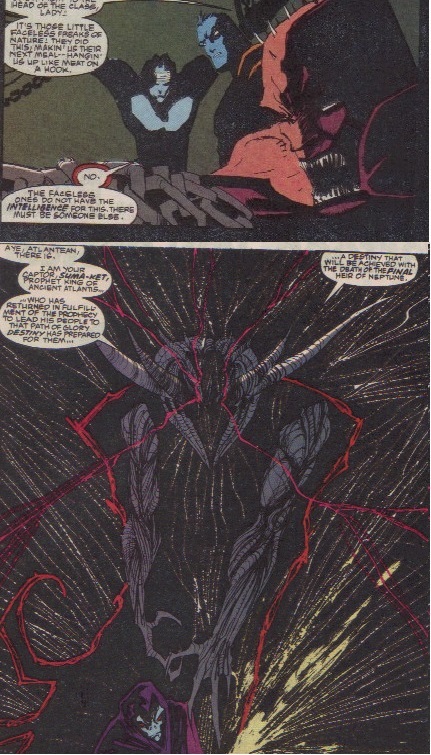 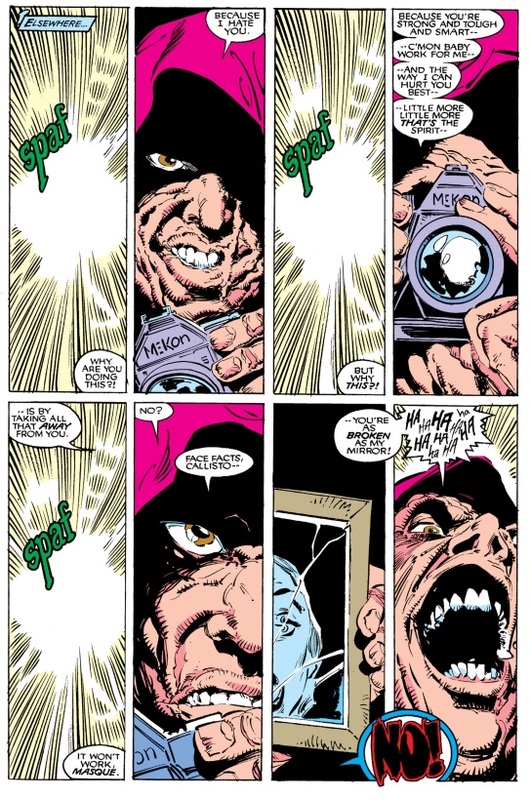 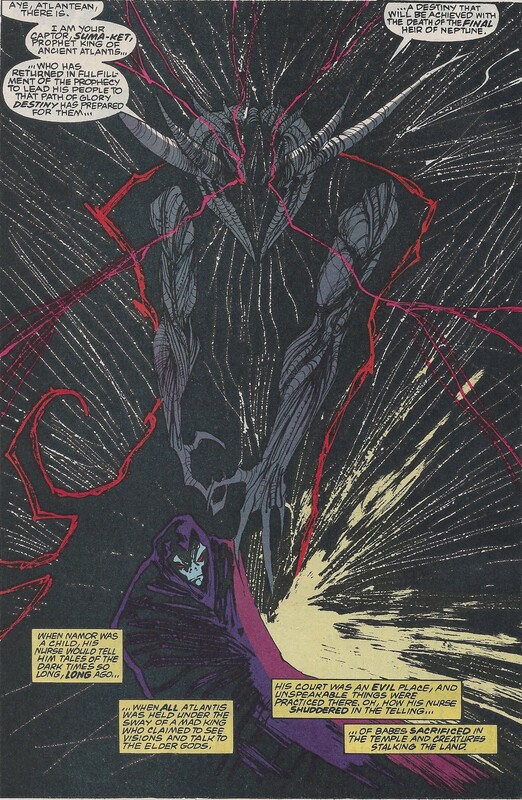 A storyarc later on in the Generation X series would begin to suss out layers of this, eventually leading to the full reveal that she’s Mephisto’s daughter and put a large onus on her as reformed but eternally dangerous due to her bloodline. For both Penance and M, it would have them as metaphorical “blood” sisters; non-related people who are tied together through similar actions happening to them. 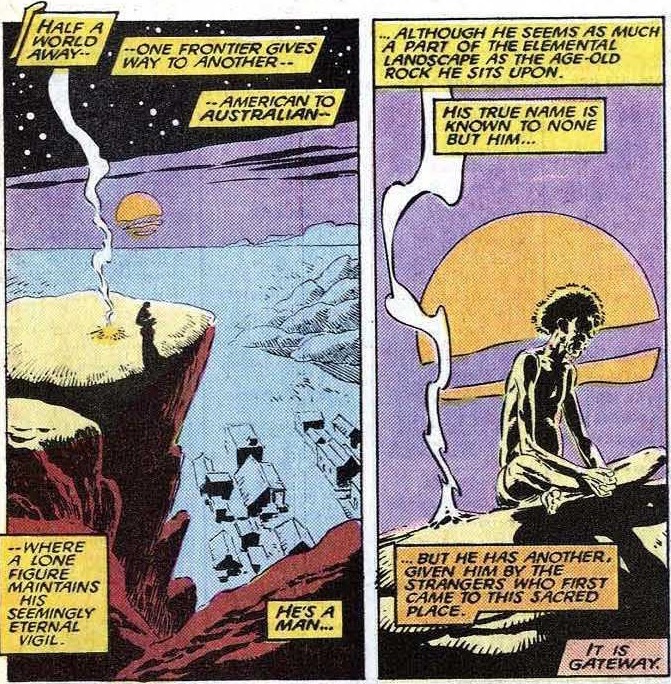 Both are looking for redemption from the deeds of their parents, but each struggling with their own way to come to terms with it.